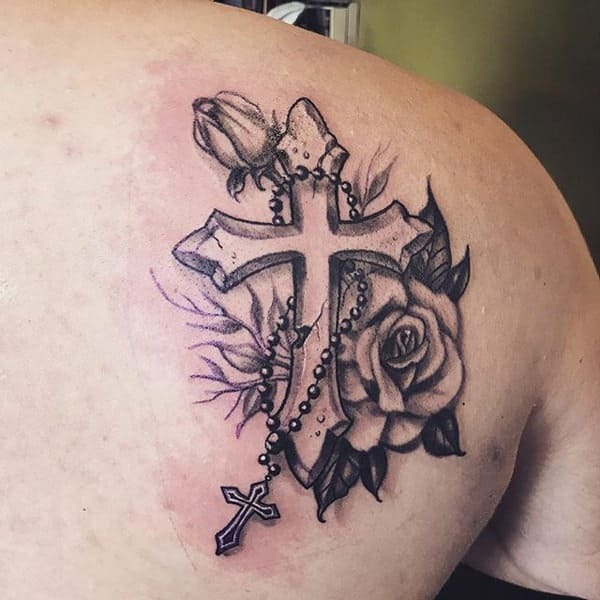 Cross tattoos carry a deep symbolic meaning that normally expresses one’s spirituality and religion. The symbol of the cross is timeless and dates all the way back to the 5th century. It’s also one of those symbols that is easily recognized. 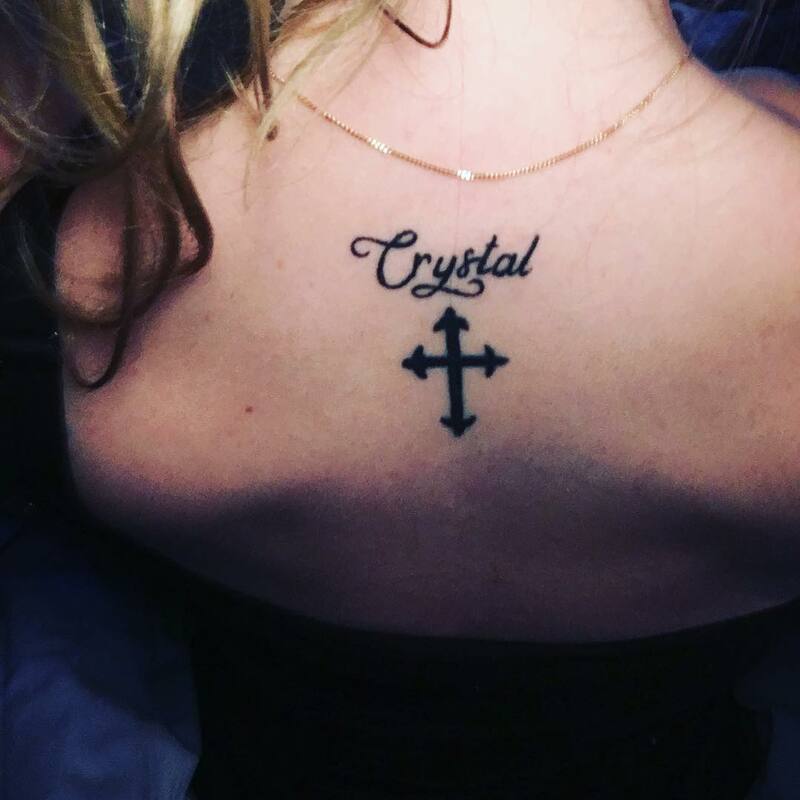 Cross tattoos can be worn alongside other symbols or just as an element on its own. Christianity is one religion that identifies with the cross symbol extensively. 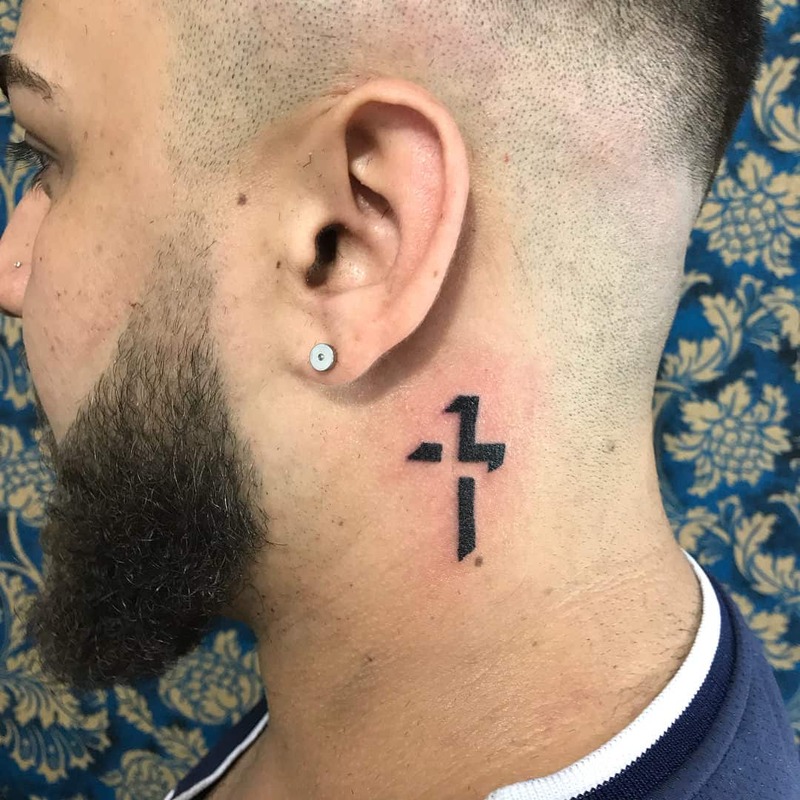 There are however other religions and cultures that connect the symbol of the cross to spirituality. 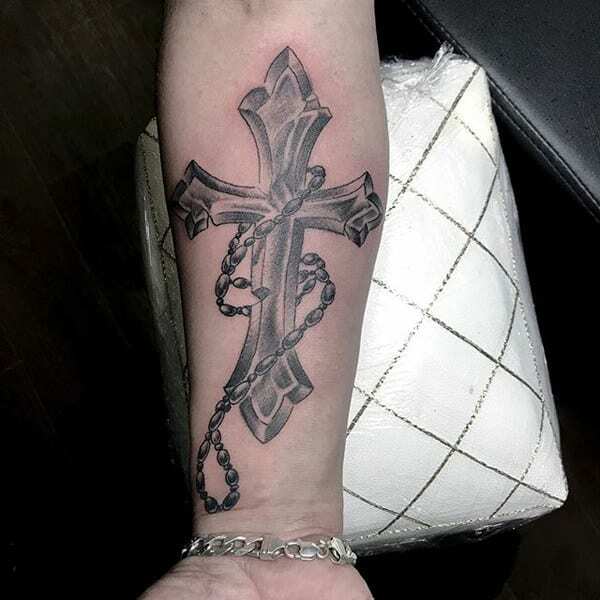 Cross tattoo is one design that will never go out of style going by the deep symbolism its associated with. The cross may also symbolize unconditional love, devotion, and sacrifice. This can be considered in relation to the death of Jesus on the cross. The design below is not only cool but also creates such an appealing visual outlook. 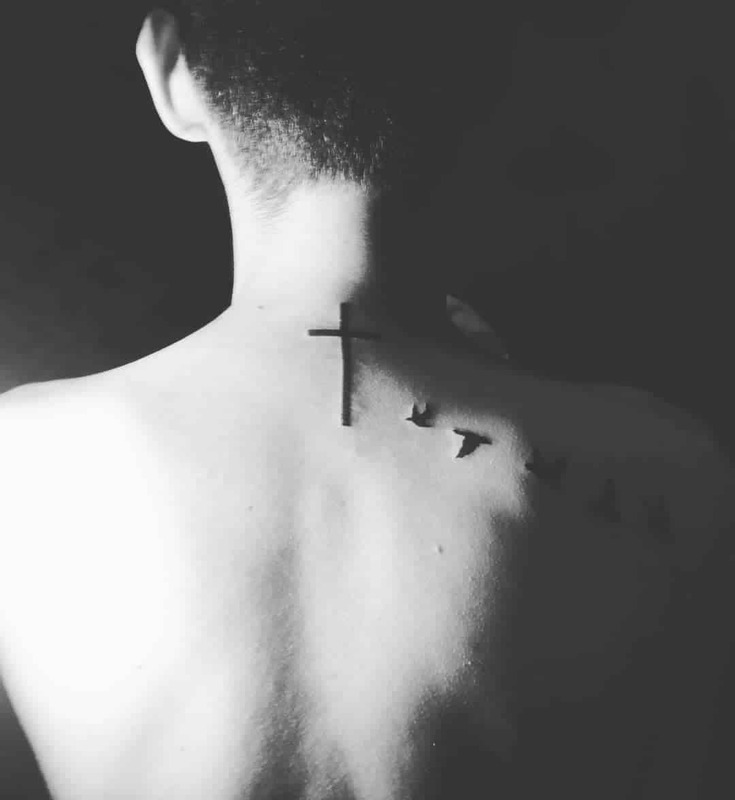 The wearing of cross tattoo symbolizes self-sacrifice and devotion. The way the tattoo is inked however adds to the meaning being expressed with the design. Depending on the level of expertise of your artist, you can consider personalizing your design and adding elements that are appealing. 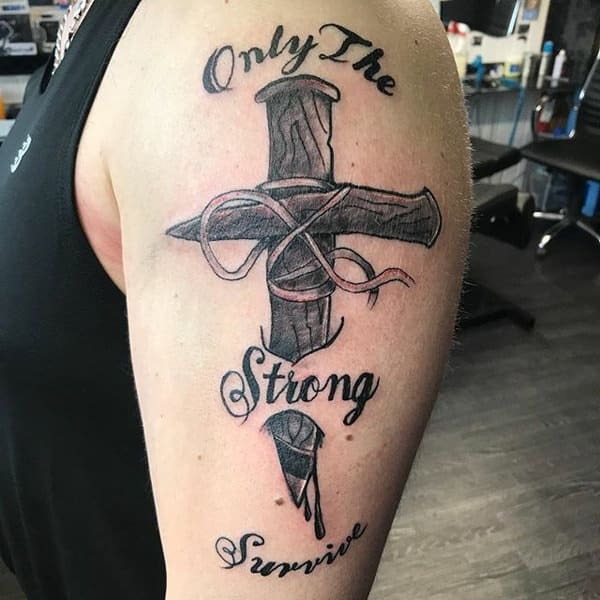 Combining the cross tattoo symbol with words is a great way to express what one means with the design. The elements used alongside the cross tattoo also expresses a deeper understanding of the tattoo. 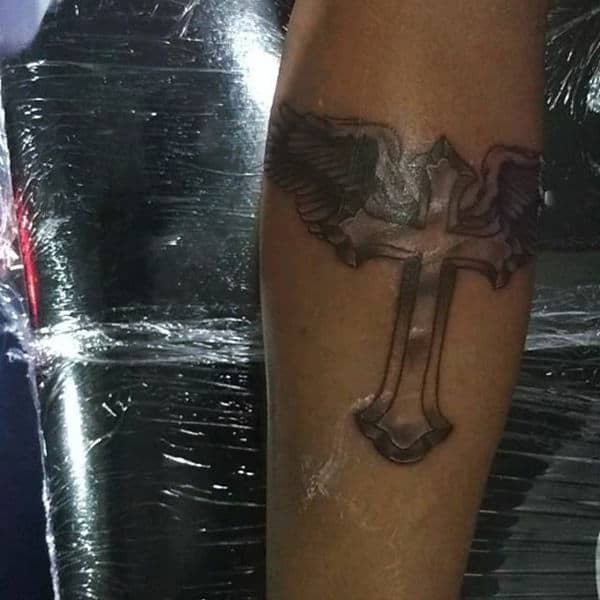 There are several cross tattoos that have been designed over the years. From the simple Latin cross of the Medieval centuries to the Celtic, Greece and the Russian Orthodox, the symbol of the cross continues to carry deep symbolism. 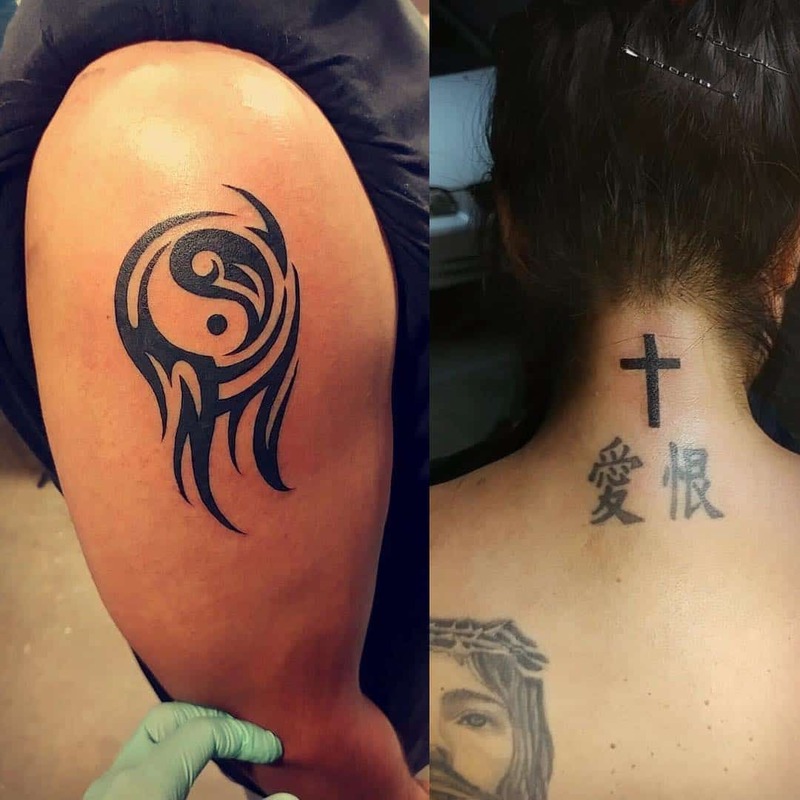 Many people find wearing tattoos as a great way of connecting with their culture and traditional way of life. If you find inspiration in historical elements then you can consider incorporating them. 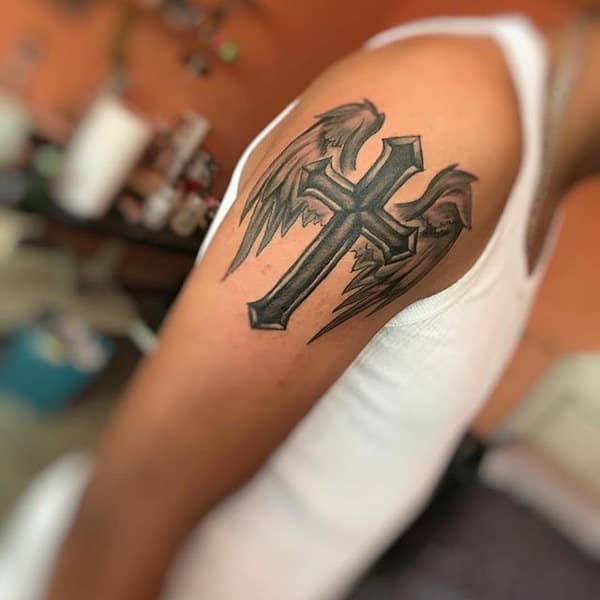 One of the popular cross tattoo symbols of all the time is the 3d cross tattoos. The design looks quite realistic and can also be worn in any part of the body. 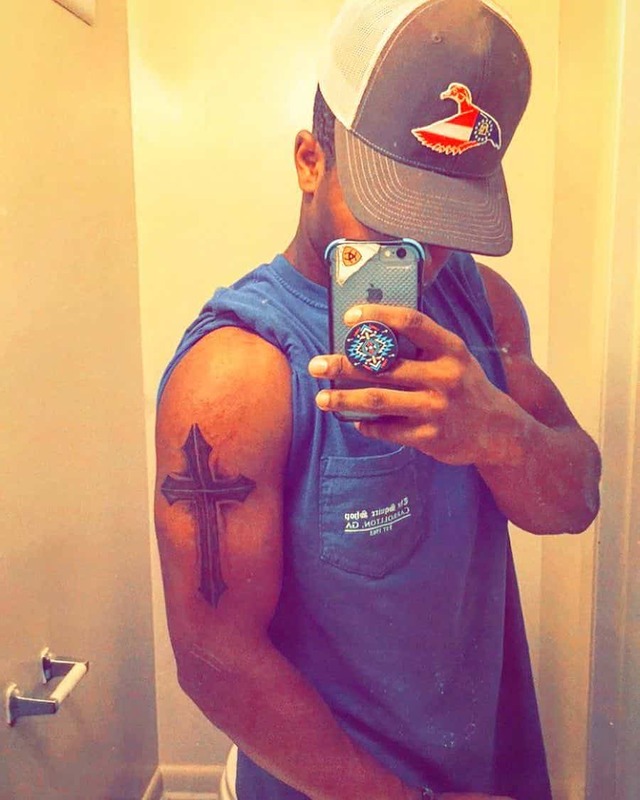 The three set of cross tattoos is an actual reflection of what the Bible says about the crucifixion of Jesus. It acts as a great expression of spirituality. 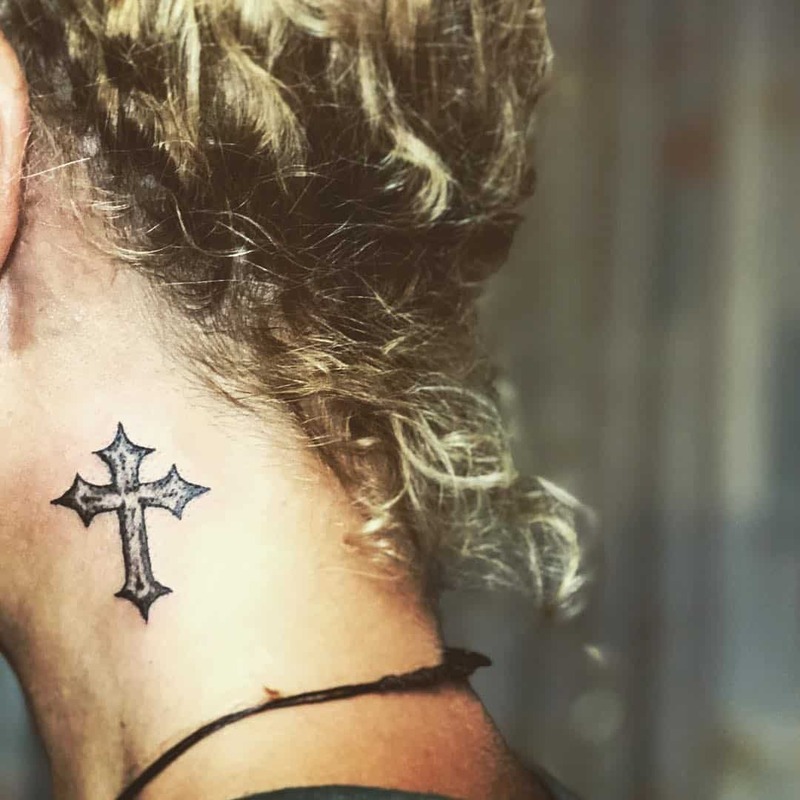 As much as cross tattoos can be worn anywhere, there are significant places in the body that enhances the meaning of the tattoo. 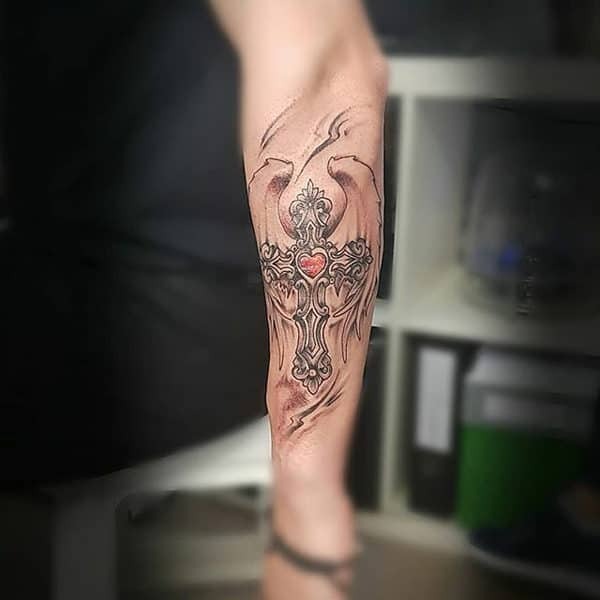 The cross tattoo doesn’t have to be very similar to the cross to look surreal, you can as well add some artistry to make it cool. 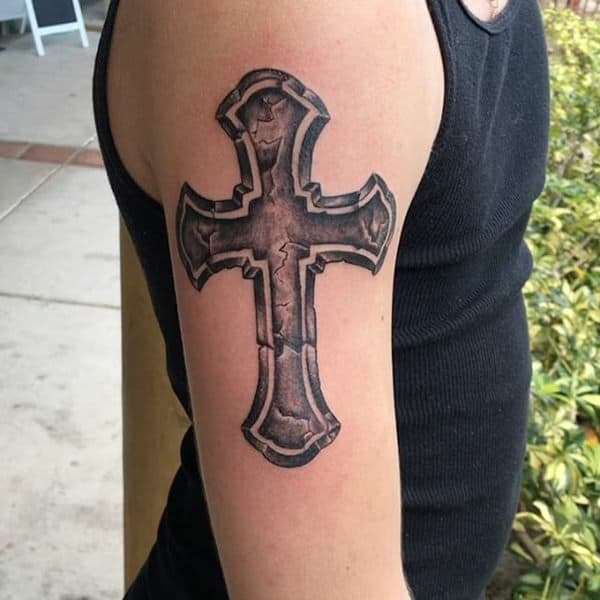 Cross tattoos provide those who are deeply religious with a way to express their faith. The tattoos look spectacular when inked in one color. Celtic features and patterns don’t only look great, it also brings out such a magnificent outlook of the design. 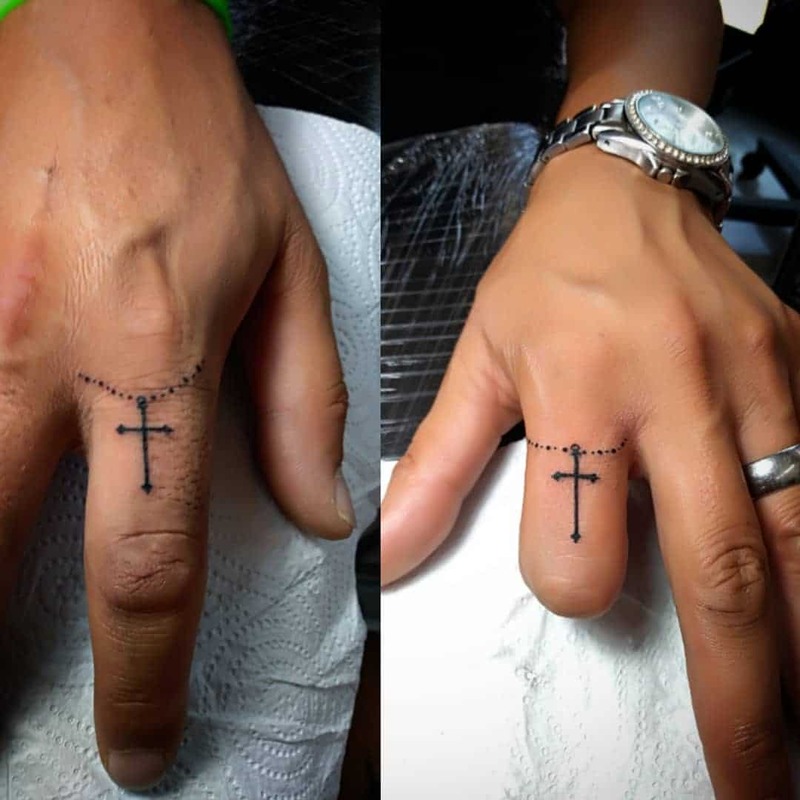 Cross tattoos can be placed almost everywhere in the body. However, the tattoos look great when worn in places that are open and also visible. 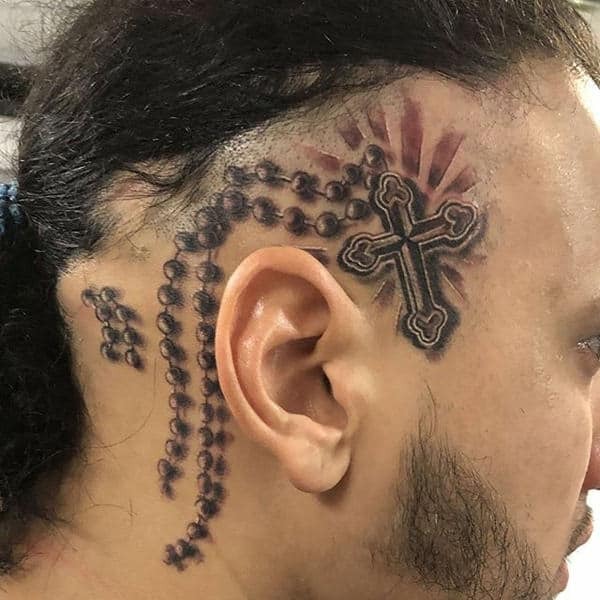 The most common places used for wearing the cross tattoos include the neck area, behind the ear, upper parts of the body such as the arms and the chest. 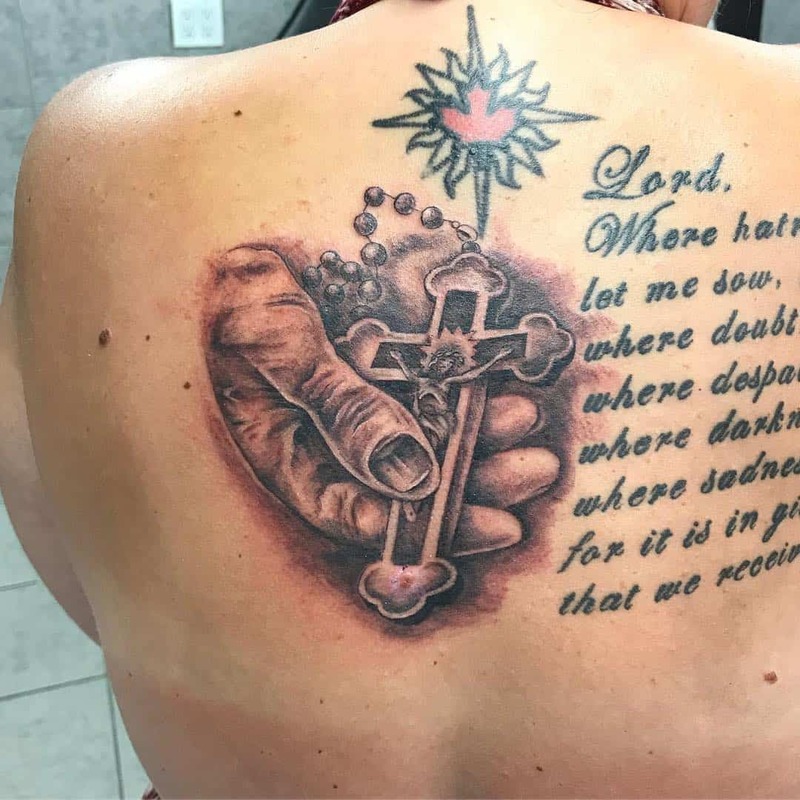 Ensure that you select an area where the tattoo is beautifully reflected. The tattoos can be as large as one desires or very tiny pieces. Apart from the tattoos looking great when inked in one color, the patterns used also enhances the beauty of the design. 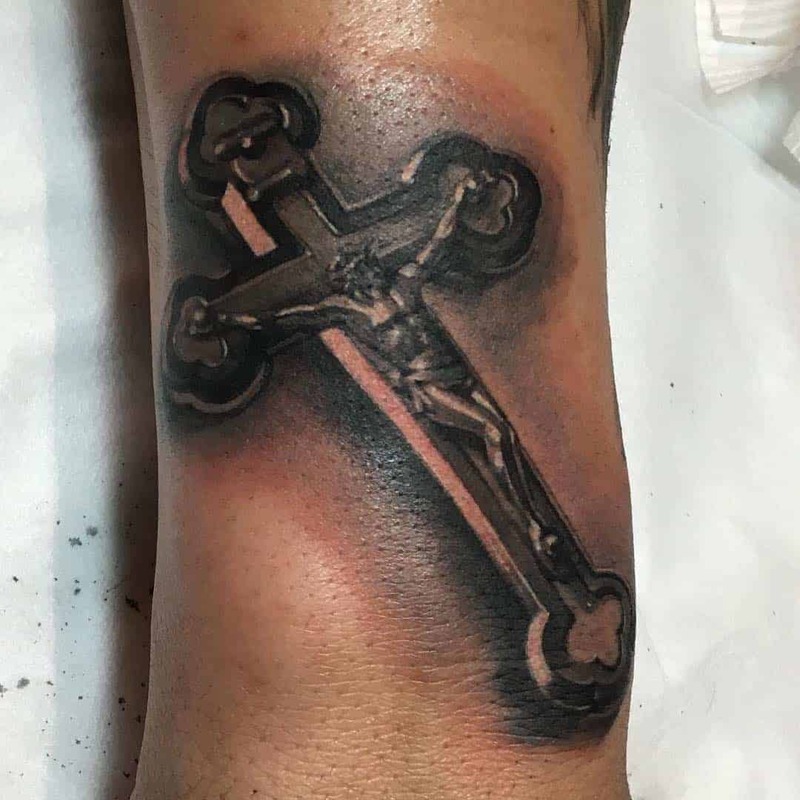 Such a captivating piece of artwork with the huge cross tattoo showing the symbol of crucified Jesus. The tattoo looks quite surreal and elegant. Inking the actual image of Jesus hanging on the cross drives the meaning and feeling associated with the tattoo in such a deeper way. 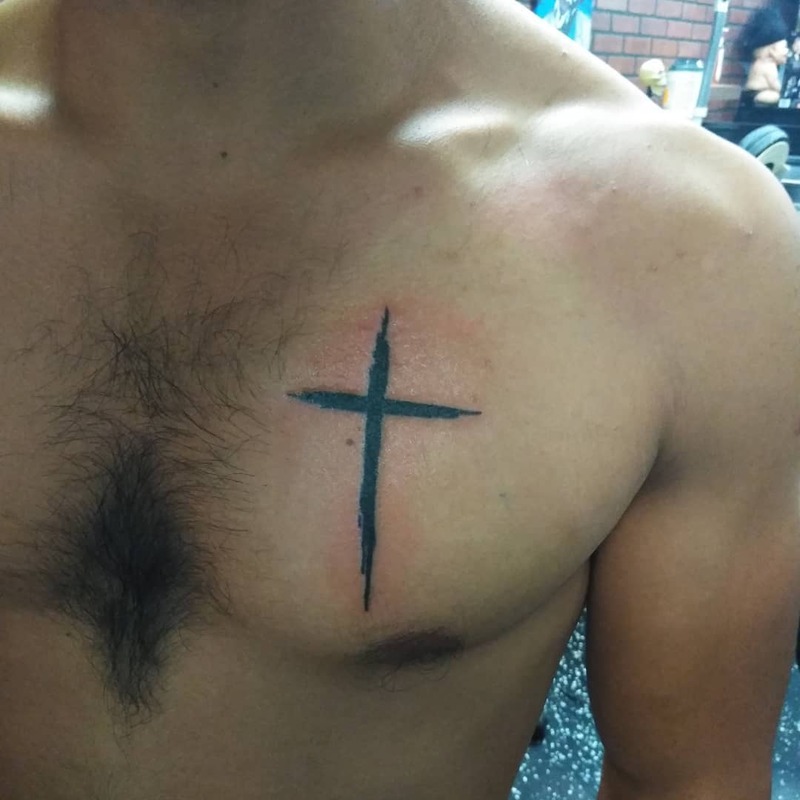 The placement of the cross tattoo should be at a place where one feels comfortable with. 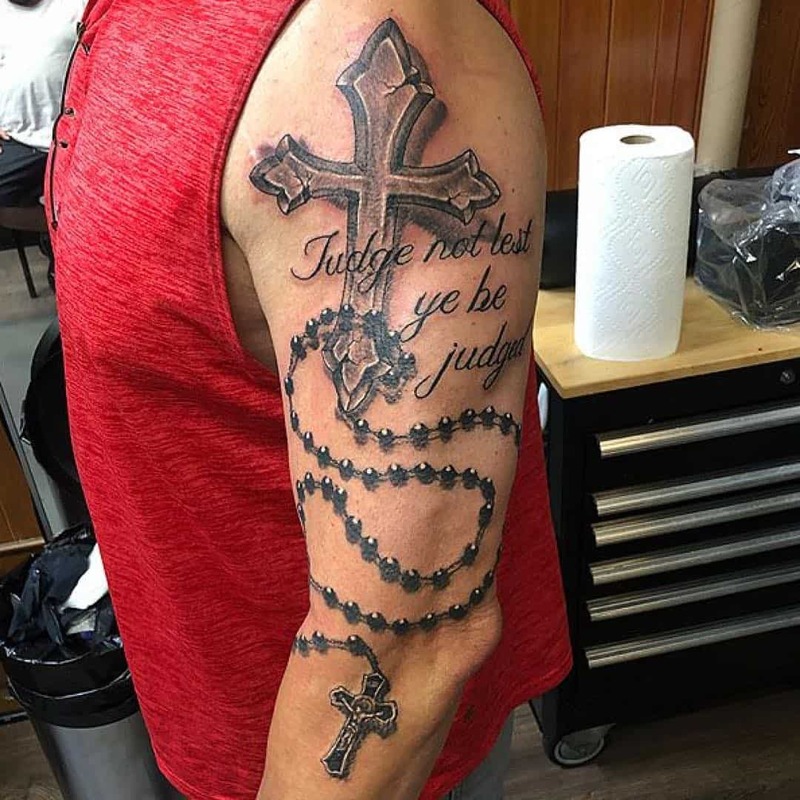 The combination of Bible verse with the tattoo enhances the meaning associated with the design. 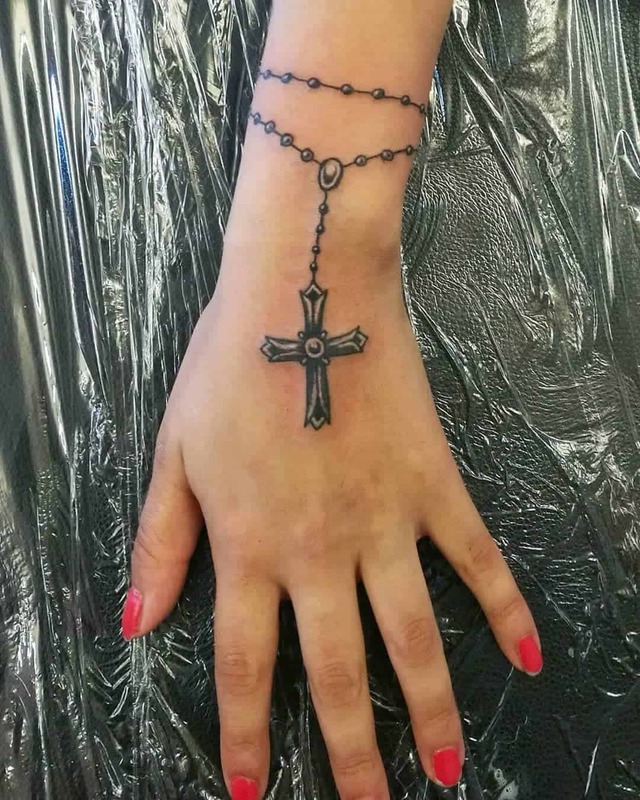 If you are considering wearing a huge cross tattoo then consider fitting it at a place where it reflects well. There is no better way to express the idea that you have a deep conviction about. 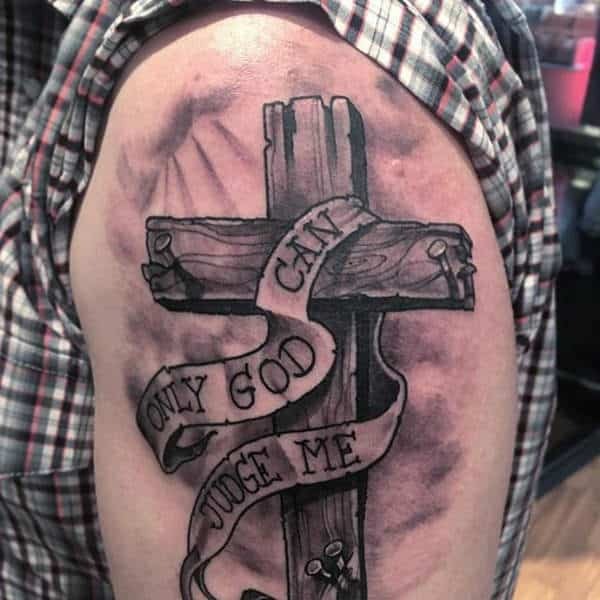 Wearing cross tattoos is one of those ways to express your deeper convictions. 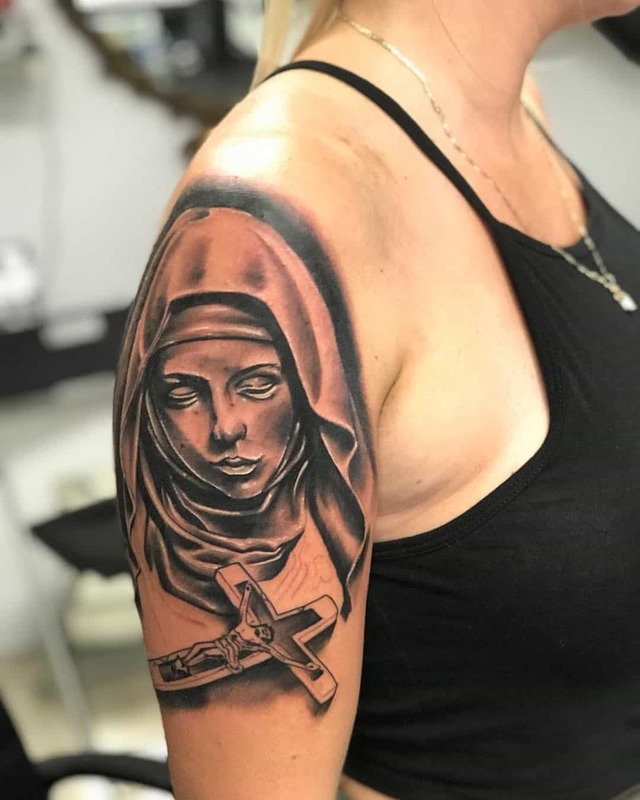 Most cross tattoos are inked in black however you can easily go for something that reflects well on your skin. 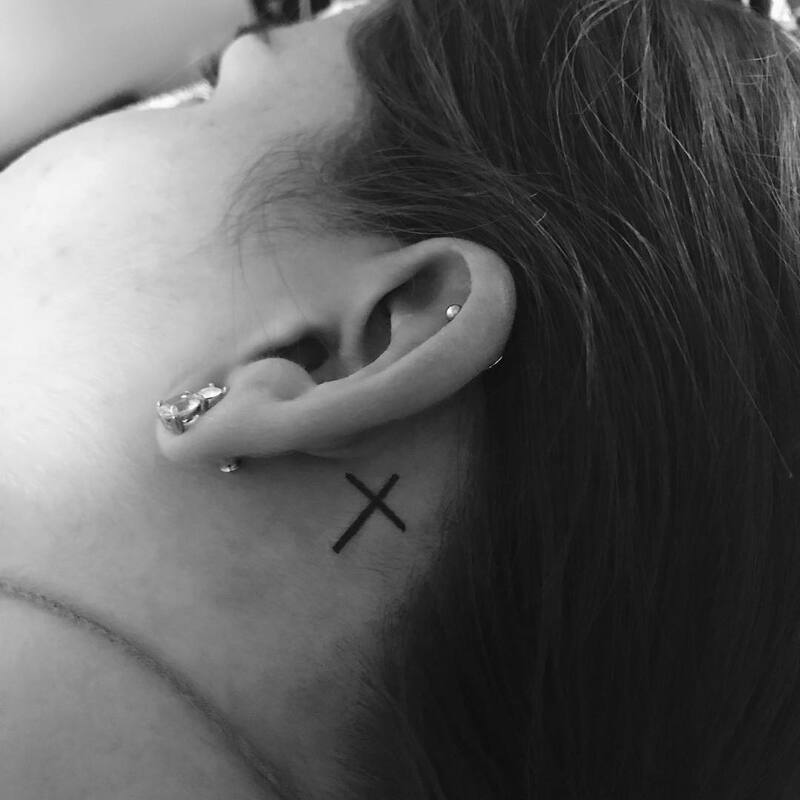 Behind the ear is another cool place for a cross tattoo. It looks elegant on the man with the bold dark colours making the entire design to stand out. A reflection of celtic symbols brings out the significance and feelings associated with the design. 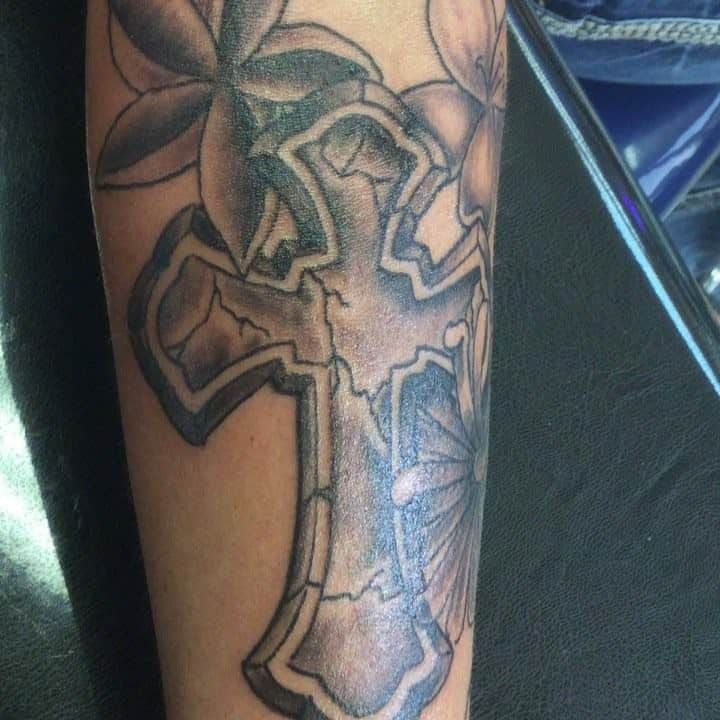 From the dark and grey layers used in the design to the floral elements, the below cross tattoo looks spectacular. It fits well on the arm where it’s worn. 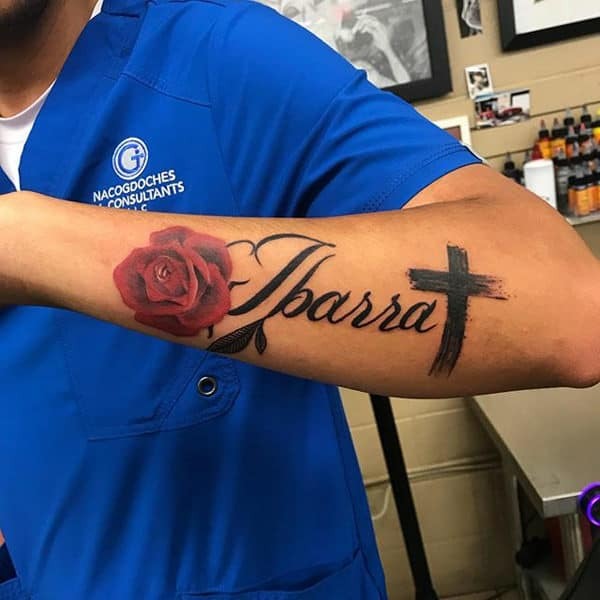 Before you settle for any tattoo sign, you should consider the size and if you can endure the pain that comes with inking it. 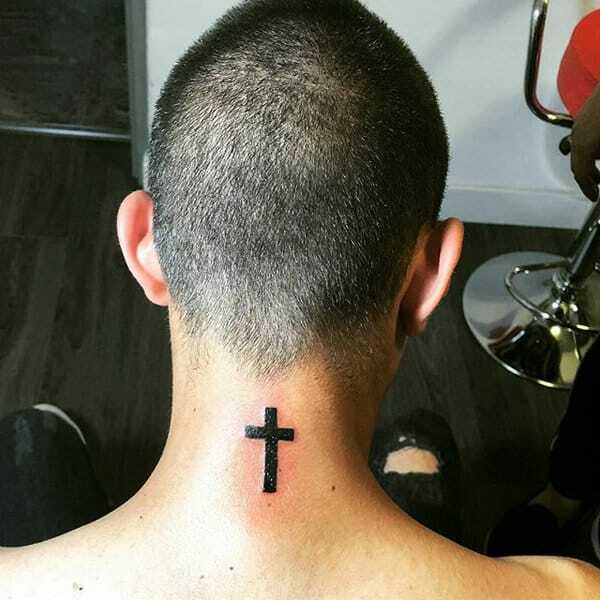 A simple cross tattoo can also be used as a symbol of death to commemorate the death of a loved one. From the adorable patterns of black and grey to the simple elements used, the design is absolutely magnificent. It also captures the leg so beautifully which is great. If you want to celebrate your celtic roots then the cross tattoo provides such a simple and better way to do that. The thick layer of dark color looks great and also fits well in the heart area. 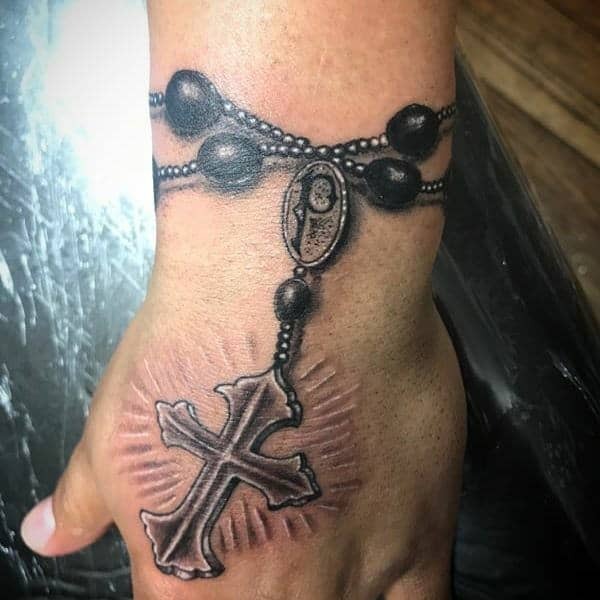 The rosary symbol blends beautifully with the cross tattoo. 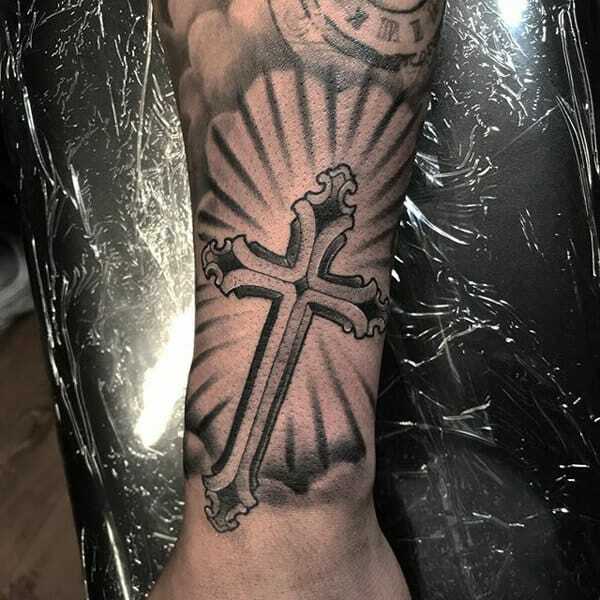 It also expresses such a deep religious meaning and adds a beautiful contrast to the design. The combination of the cross with other symbols has the potential of adding significance to the design. You can also consider something that’s wilder if you are an edgy person. The wide design captures the back beautifully and also enhances the wearer’s features. The cross and feathers make a good combination and adds contrast to the entire design. A simple act of worship that’s expressed in such an adorable way. The design looks quite surreal with all the elements used enhancing the overall appeal. 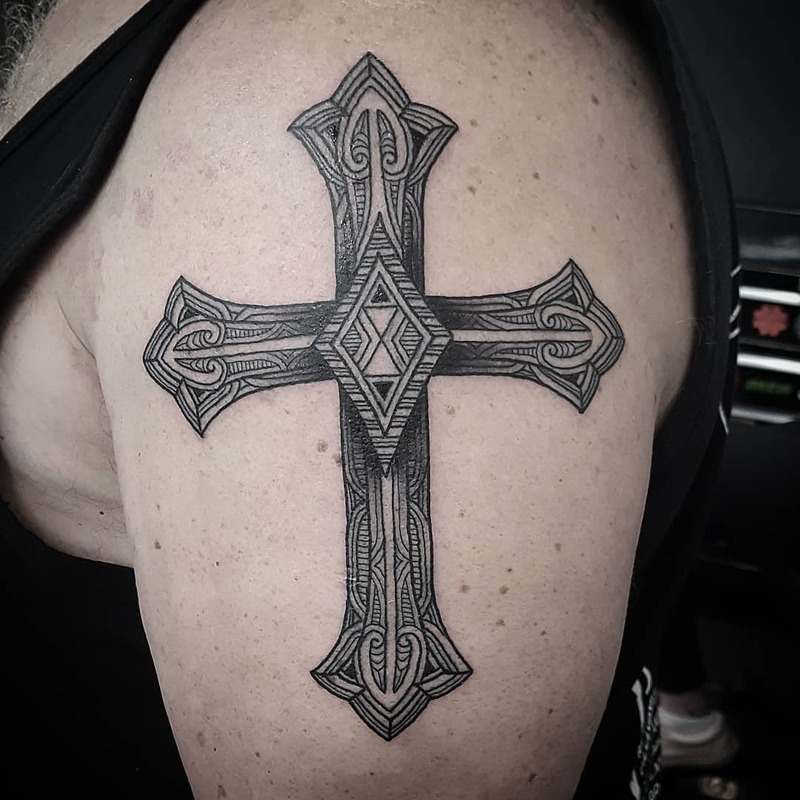 Inking an image in a reverence mode makes the cross tattoo design to stand out in a great way. All of the elements and symbols used to express an act of reverence. 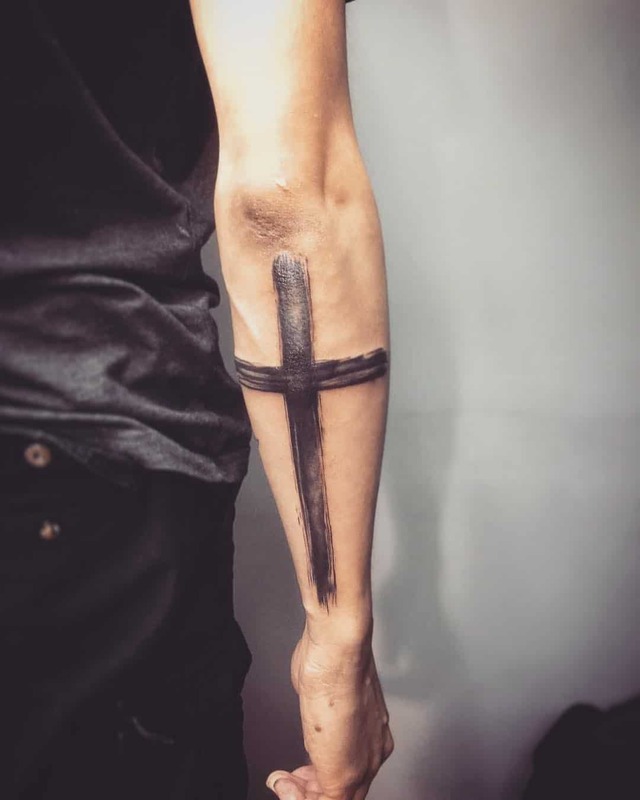 Tribal cross tattoo could just be the thing for you. The design looks magnificent and also reflects beautifully on the wearer’s skin. Incorporation color is not only beautiful but also adds some feminine appeal to the tattoo. The design is epic and enhances the wearer’s features beautifully. 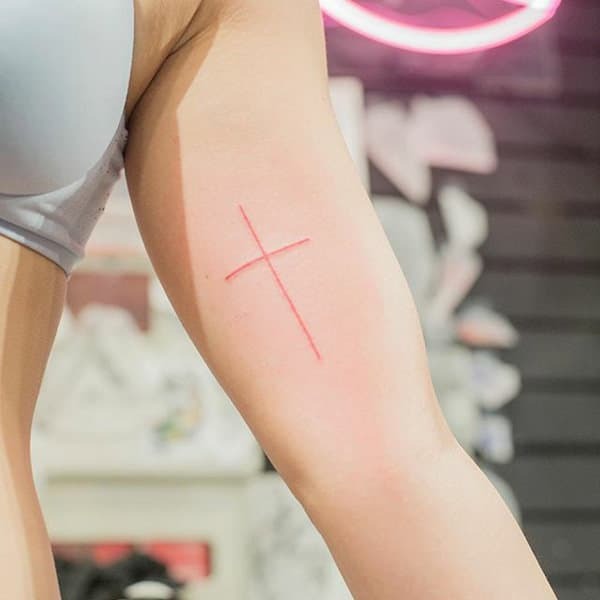 Bring out some unique appeal and religious symbolism with an adorable cross tattoo. The colors are also used in such a cool way and blend well. 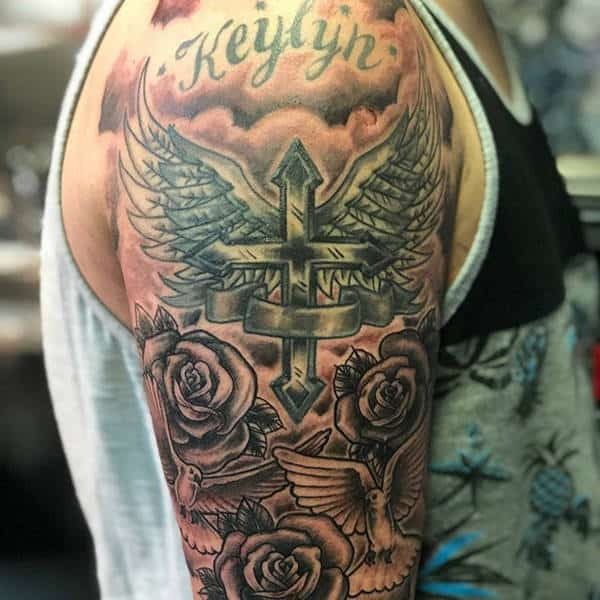 Whether you are into very large and complex designs or you are just looking for a simple way to express your feeling through a tattoo, ensure that you choose right. Women just like men also find cross tattoos to be appealing. There are a range of elements that can be used alongside the tattoos in order to enhance the feel. Nothing enhances the cool feminine features of a woman or man like tattoos. If the inking is artistically designed then be sure of making heads turn even of those who are not tattoo lovers. Flowers has a way of bringing life to any design that they are used with. 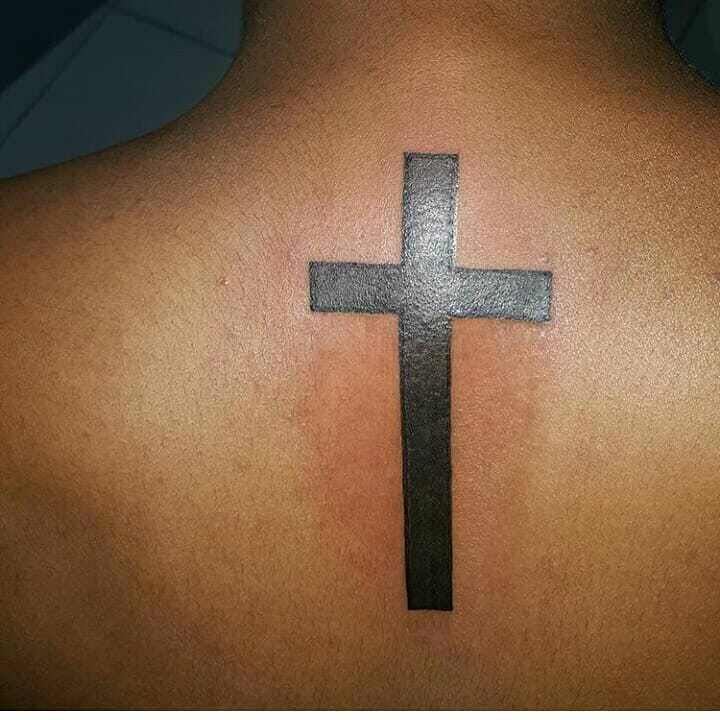 The cross tattoo is not only elegant but exudes life and vibrancy. Before you use flowers in the design, you need to be clear about the emotion you intend to create and whether the type of flower that you choose brings it out. Such a simple and elegant piece of design. The small dots and the little chain used blends beautifully on the finger where it’s worn. 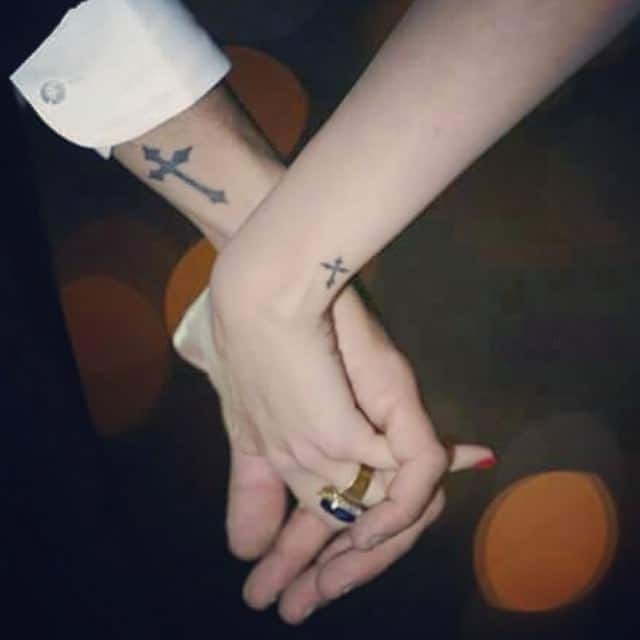 Couples can also consider wearing cross tattoos as a way of expressing their commitment and bond with each other. Several symbols and elements used in the design below express such a dynamic and versatile work. 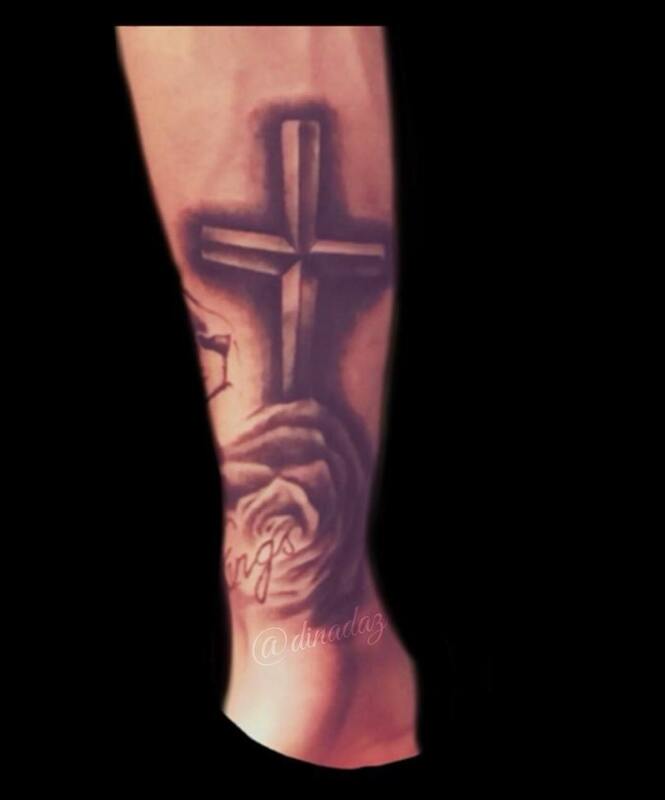 From the hand holding the cross to the writing and the flower anchor, each brings out a rich meaning of the tattoo. 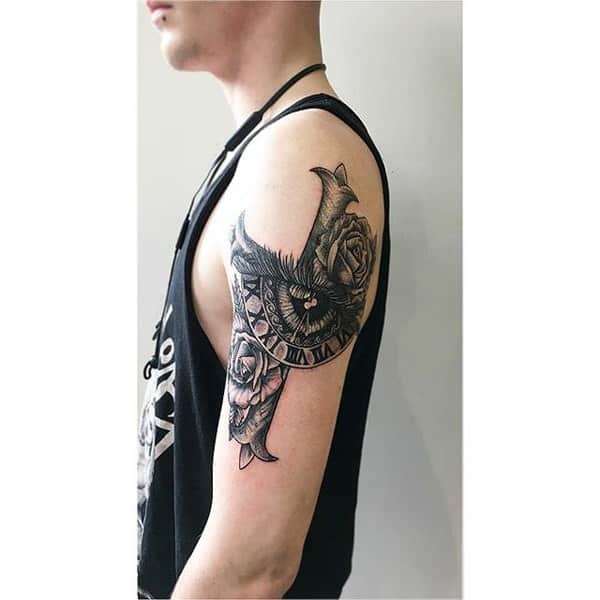 Feathers symbolize various things and as used in the design, it makes the whole tattoo to stand out. The one color used also adds to the beauty of the design. 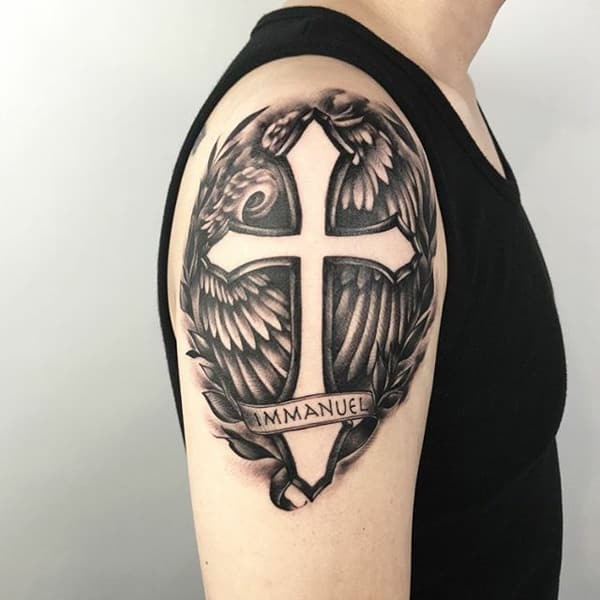 The symbol of an elevated cross with birds flying towards it looks amazing. The dark color used also reflects beautifully on the wearer’s skin. The black color of the tattoo looks amazing and reflects well on the wearer’s skin. 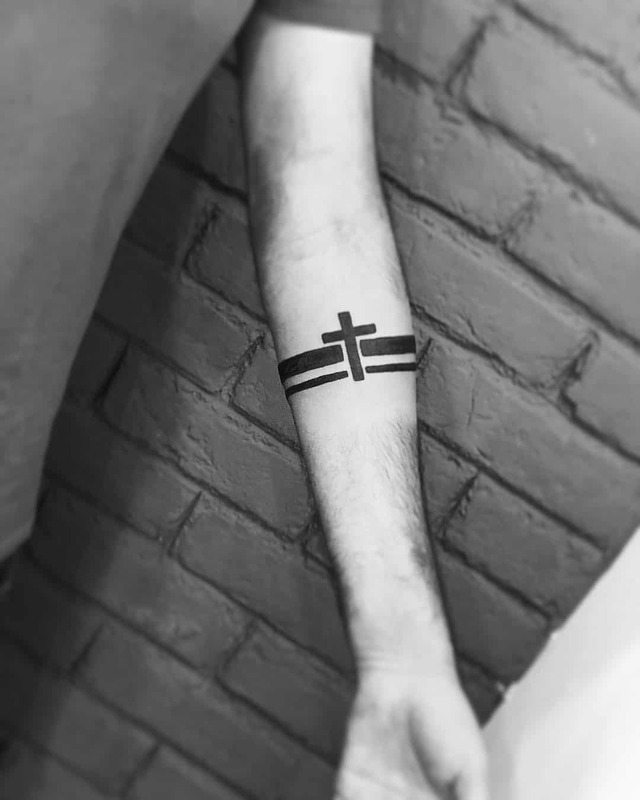 The cross tattoo design can easily pass for a bracelet which is so cool. An amazing piece of design that reflects pain going by the deep piercing on the skin. 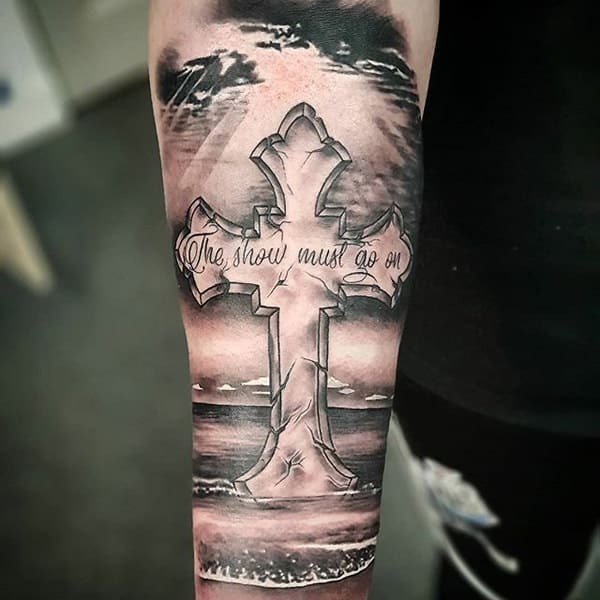 The cross symbol is captivating and blends beautifully with the elements used. 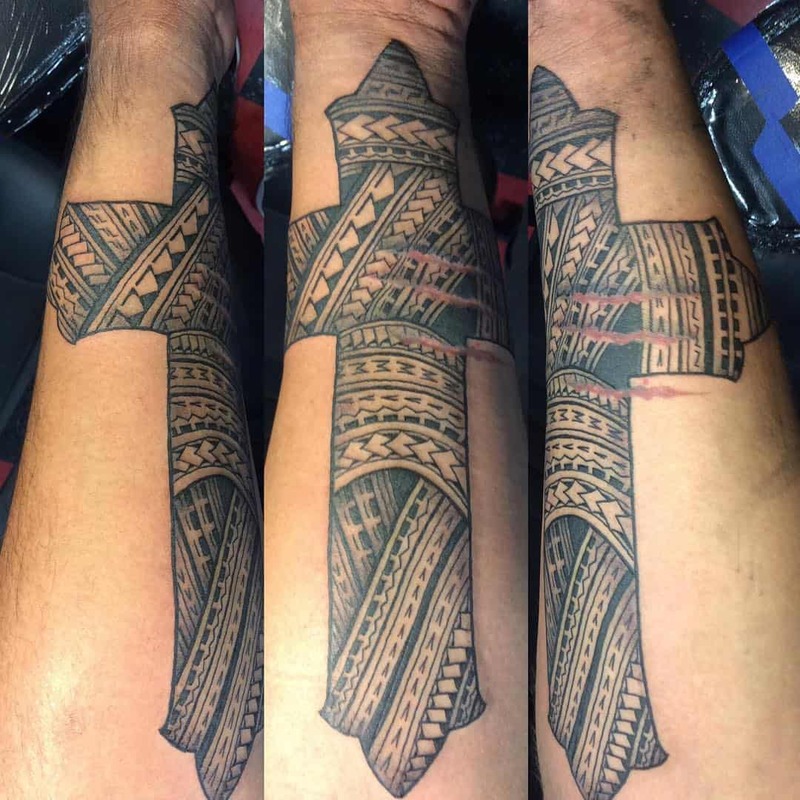 Use of tribal elements in the cross tattoo has a way of bringing a rich symbolism of the design. The tattoo is such a great piece of artwork with the elements creating such a magnificent contrast. Such a thick layer of black color inked into a tattoo. The design looks spectacular and blends beautifully with the wearer. 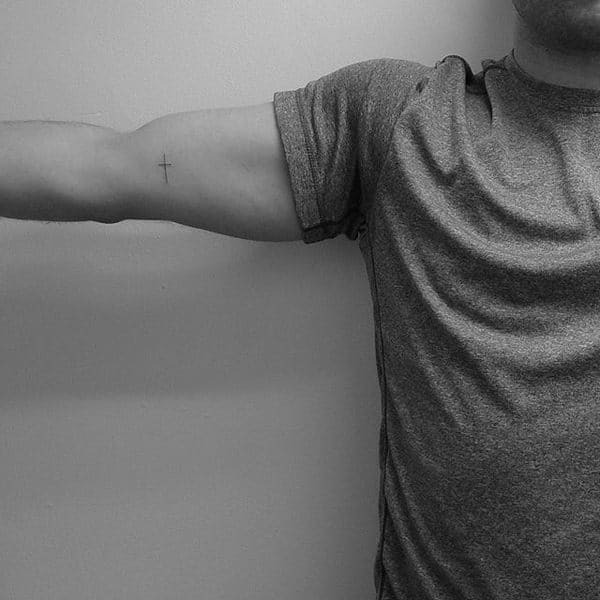 Incorporation of symbols and the cross tattoo may act as a way of remembering a special one. The tattoo is large enough and fits beautifully on the upper part of the arm where it’s worn. 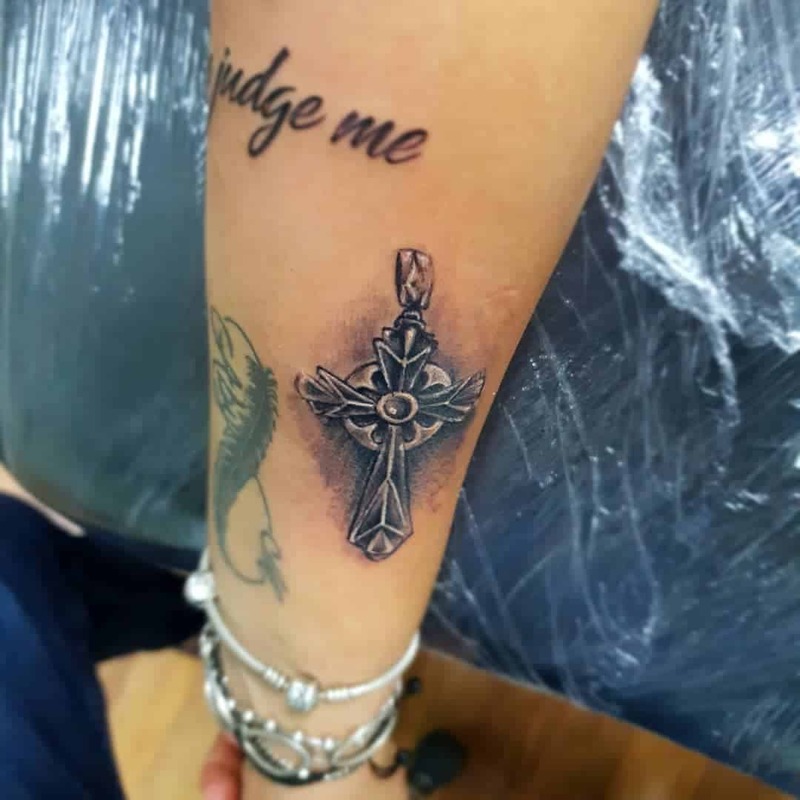 3D cross tattoos are not only magnificent but also looks great on the wearer. 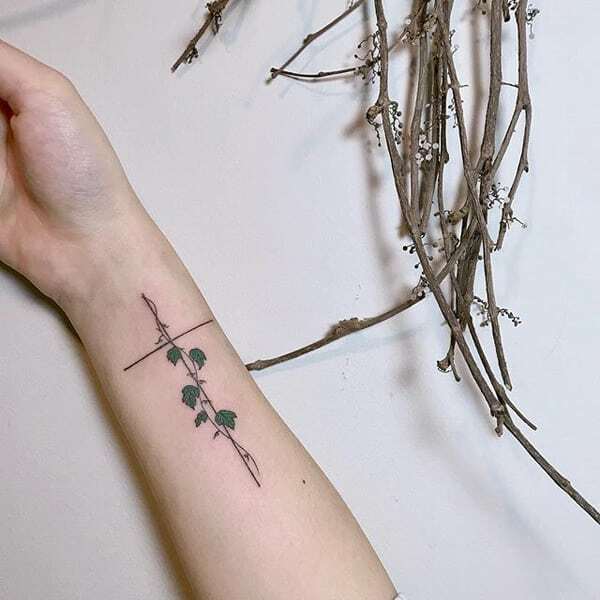 The tattoo is captivating by all means and fits well on the wearer’s arm. The way color is used in the design below is just breathtaking to look at. All of the color shades used blends so beautifully with the dark and light green colors making the entire design to really pop. Crystal is such a magnificent work that carry some element of purity and beauty. The dark color used makes the whole tattoo to really stand out in a spectacular way. 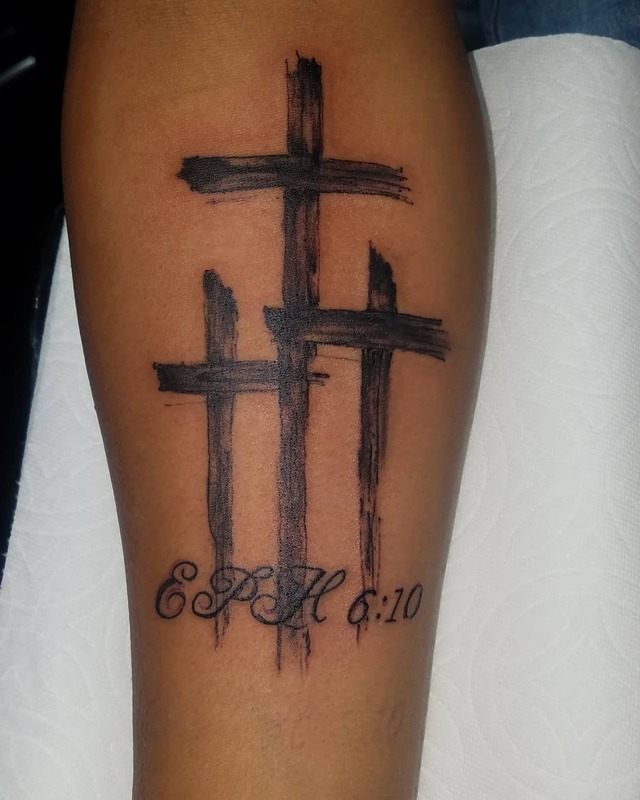 Inking a wooden cross is a great expression of Christian faith going with the fact that Christ was hanged on a wooden cross. The thick layer of grey shades looks flawless and blends beautifully with the wearer. Make it simple and intricate just like in the design below. It looks great behind the ear and blends well with the wearer’s complexion. 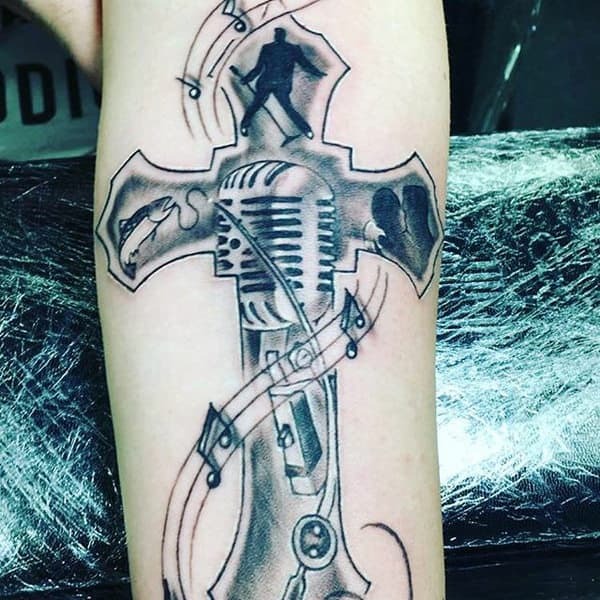 Add some element of intricacy and versatility to your cross tattoo design by incorporating several elements. 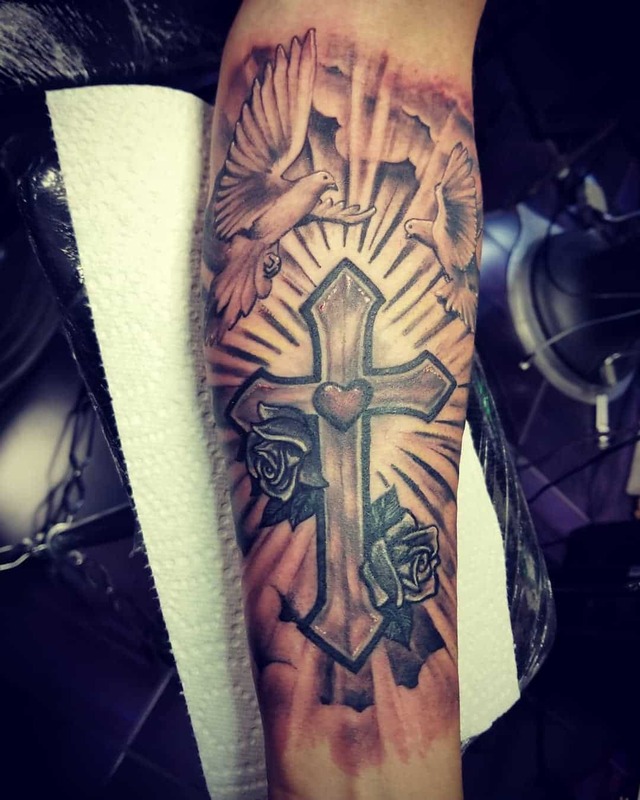 From the symbol of the cross to the gigantic feathers and the floral, the cross tattoo below expresses a cool contrast. 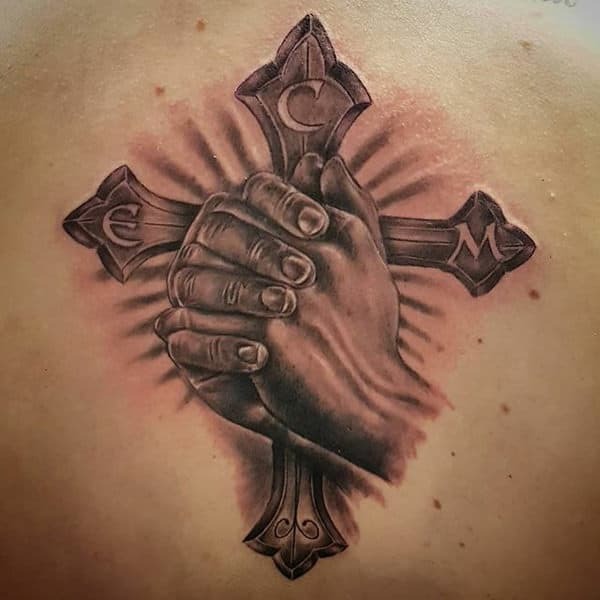 If you are considering wearing a similar tattoo design with your partner then the cross tattoo can be a great inspiration. It’s not only simple but also eye-catching going by the place it’s worn. The combination of beads with a cross tattoo is a deep reflection of the wearer’s beliefs. The design looks cool and reflects on the side of the head where it’s worn. 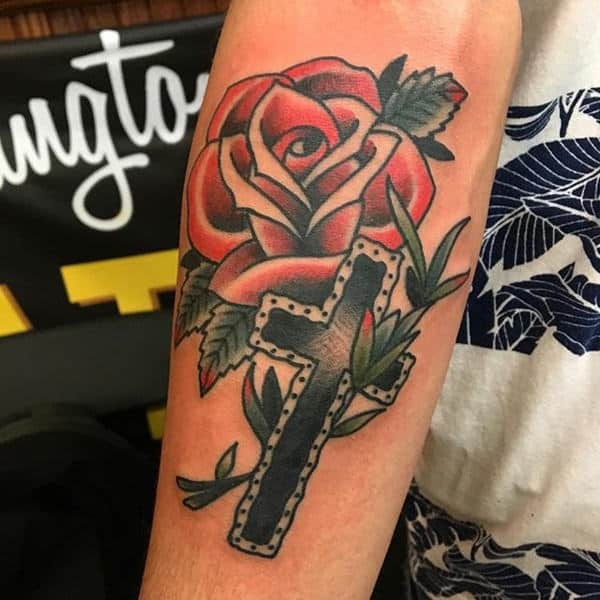 Red is a unique color for a cross tattoo and could be definitely carrying some symbolic meaning for the wearer. 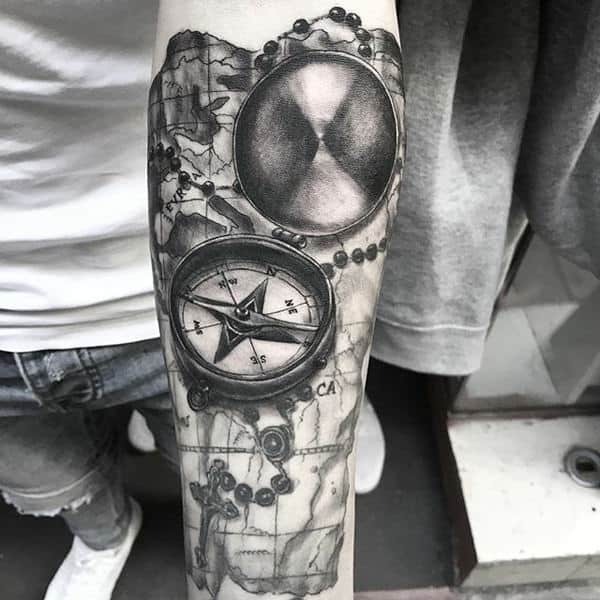 The design looks great on the arm where it’s worn. It’s also a simple design that can easily pass for a scratch. 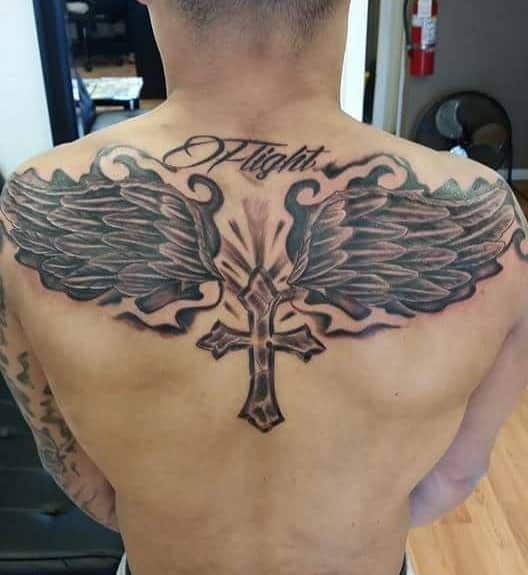 The environment around the cross tattoo captures a very intricate picture that reflects well on the entire design. The dark shades and words used also express the meaning associated with the design. 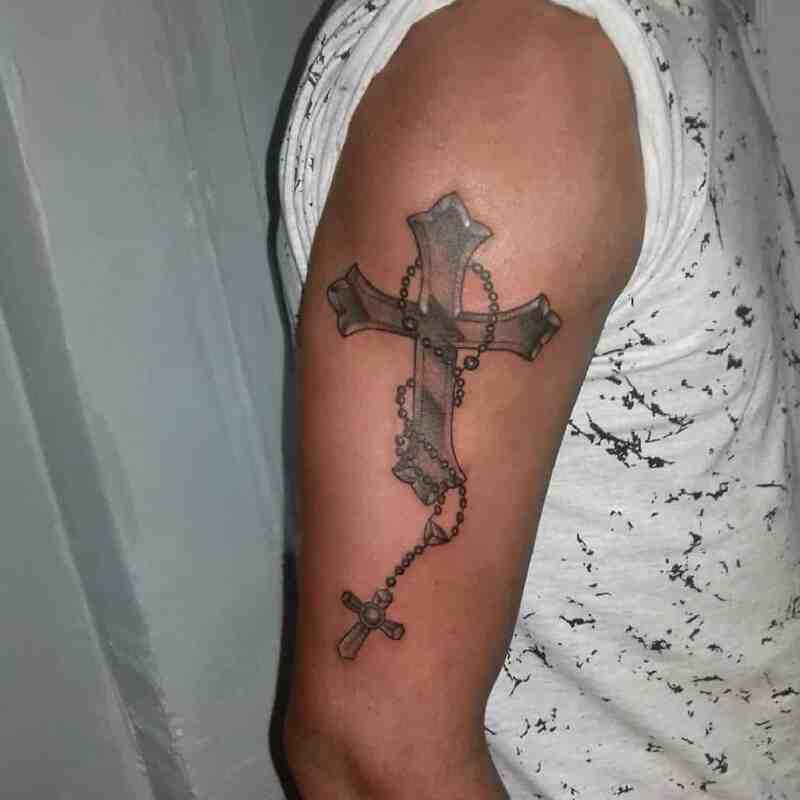 The beauty of cross tattoos lies in the fact that you can choose the size that you want and what you find inspiring. The dark layers of shades used reflect beautifully on the upper part of the arm. It also enhances the masculine features of the wearer. From the elements used to the intricate way the features are arranged, everything in the design brings out such a rich meaning. The dark shades used in the design expresses all the features in such a dynamic way. Behind the arm is another magnificent place for wearing the tattoo. All the features used blend perfectly well and also reflects beautifully on the skin. 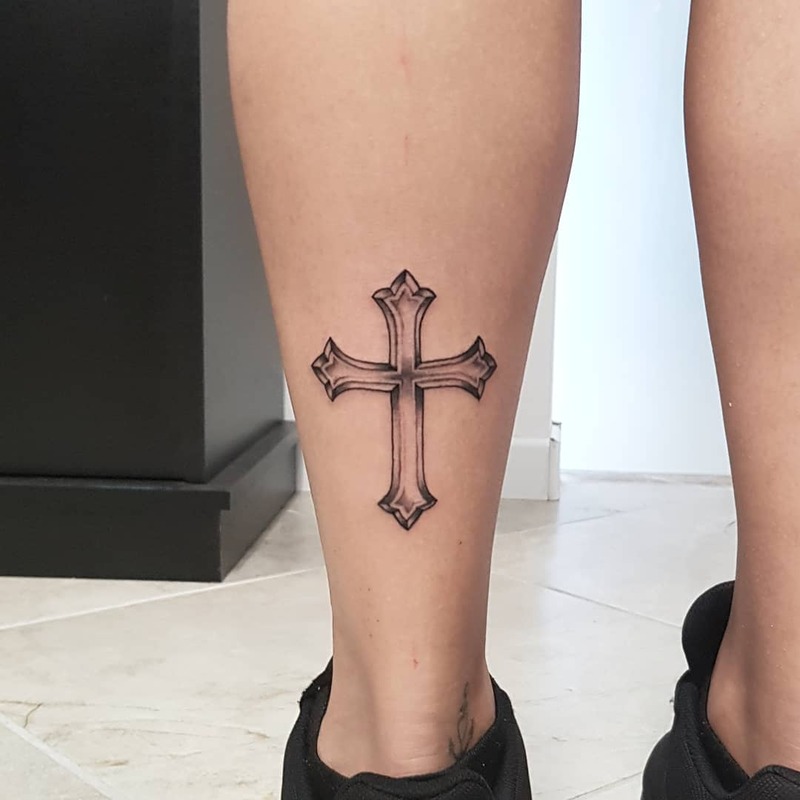 Another cool place that reflects well with cross tattoos is behind the leg. The place is not only dynamic but captures the tattoo design so well. The tattoo is not only large enough, it also has some features that adds contrast to the design. 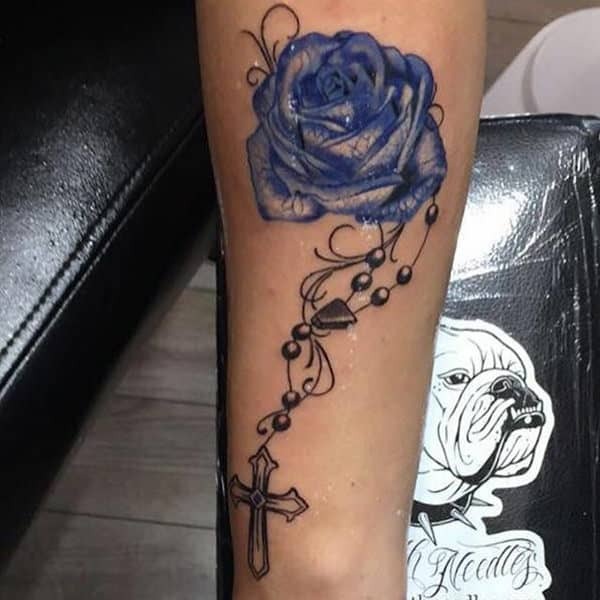 With such a large tattoo that covers the entire leg, you should take into consideration the aspect of cost and the pain of inking before you settle for it. 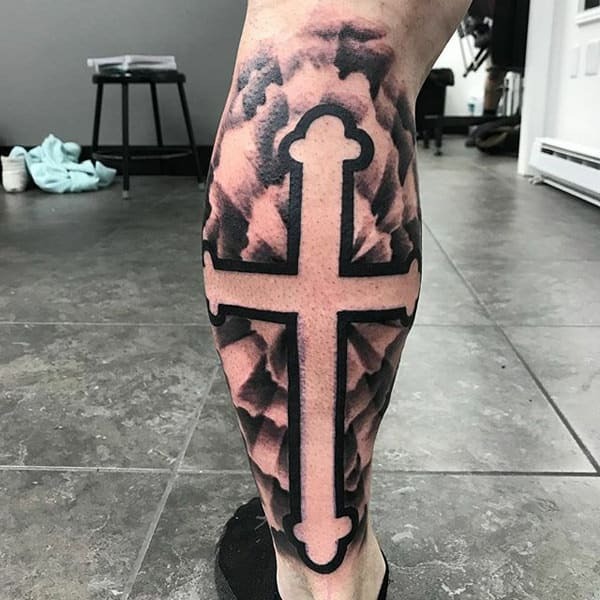 If there is one design that will never go out of style then its the cross tattoo. 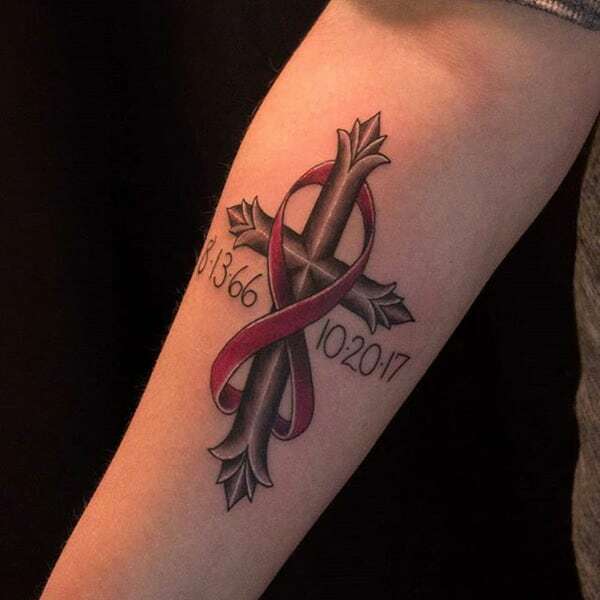 The design looks fabulous with the pink ribbon and the symbols of the date shown reflecting beautifully. Features can also be applied in a subtle way that makes the tattoo symbol to stand out without it being overshadowed. The red and dark shades are designed in a way that each of the elements magnifies the outlook of the cross. When using other symbols and elements, it’s advisable that they are used in a way that makes the main symbol to stand out. When a lot of symbols are used, it can be quite crowded which hinders the design from standing out. The level of complexity expressed in the design is so intricate. 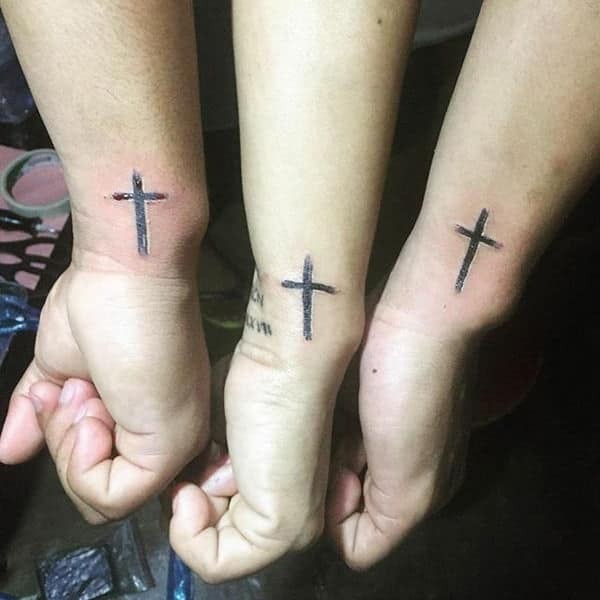 The symbol of the hand holding on the cross looks cool. The design shows some element of dependency and intricacy. The colour shades used also reflects well on the wearer. It can easily pass as an act of worship or reverence that a lot of people can identify with. The shades of dark and grey also reflects well on the wearer. Wings symbolize freedom and the ability to soar. 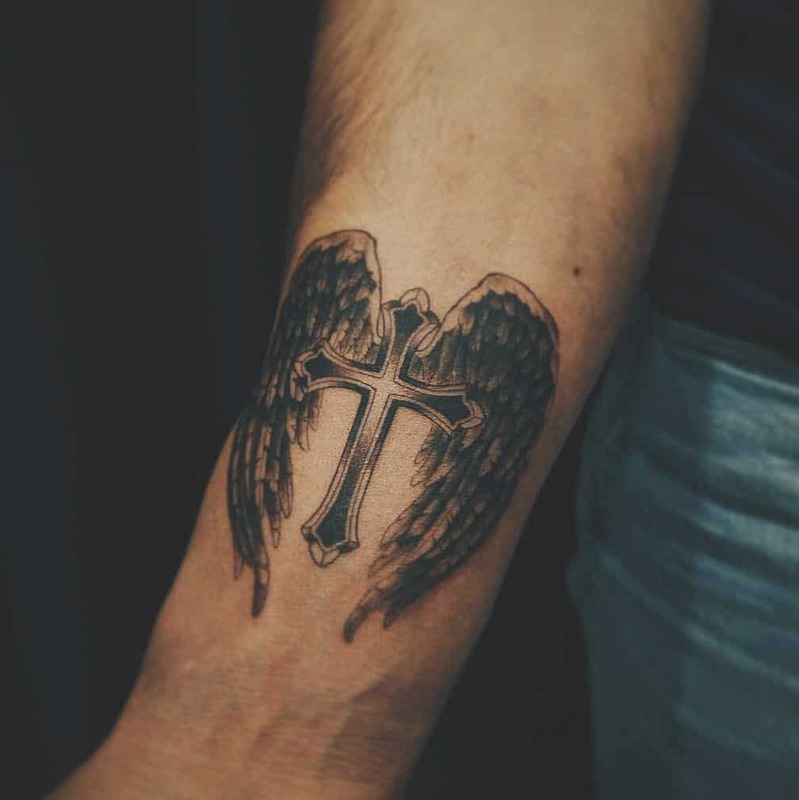 Incorporation of wings to the cross tattoo carry some element of hope and freedom. The colours used also adds beautiful contrast to the design. The wordings used drives in the meaning associated with tattoo in a much deeper way. Flowers are magnificent and make the designs used in them to pop. 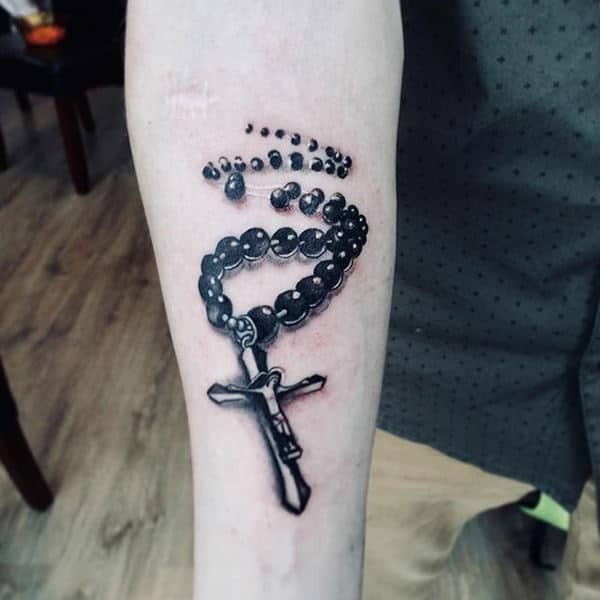 The combination of the beads and the hanging cross to the designs makes the design to really stand out in such a great way. The blue floral features also adds a beautiful contrast into the design. 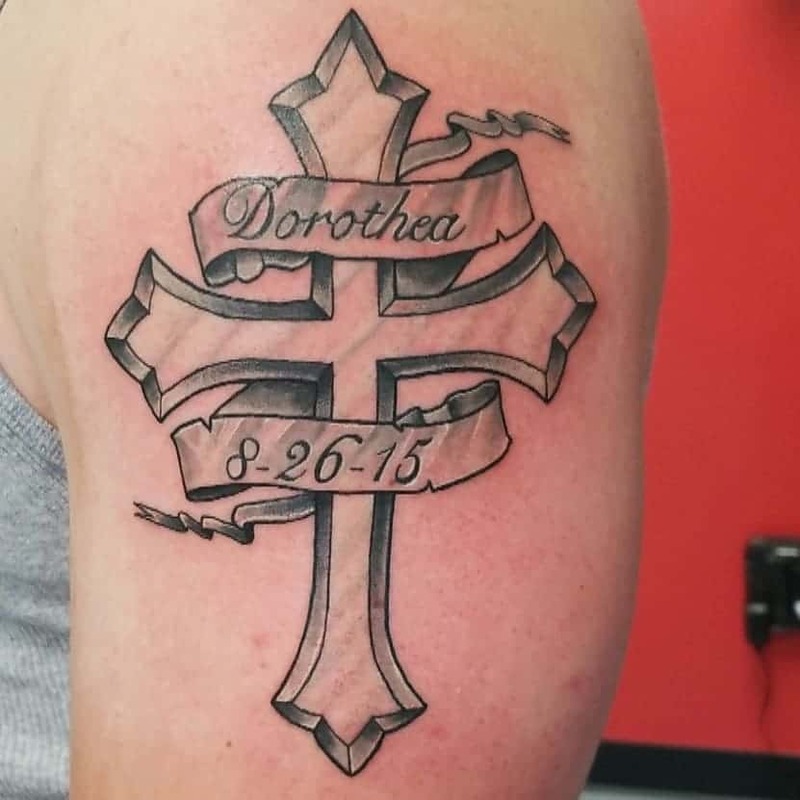 There are several features that make cross tattoo designs to really stand out. 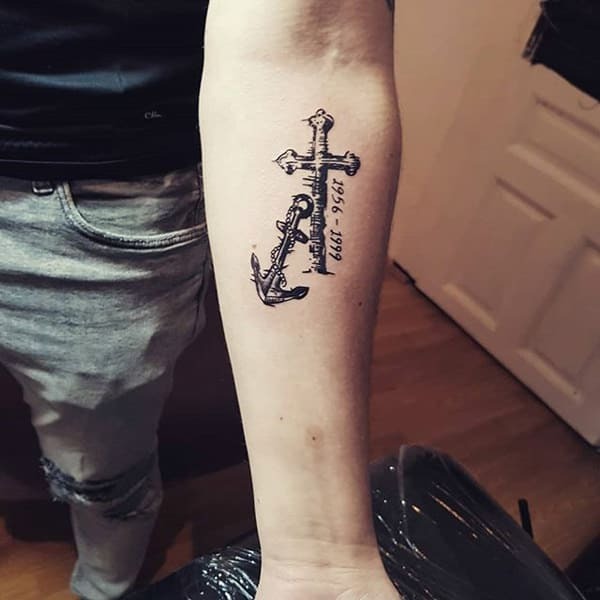 Whether its the date symbols, the flowers or the anchor as used in the design below, each feature brings out a cute appeal to the design. The place where the tattoo is worn also reflects well on the wearer and enhances her feminine features. Just like flowers, colours also has a way of bringing life to a tattoo design. One should take note of the colours being used just to ensure that each element ends up blending well. All the features used in the design below enhances the overall outlook of the design. Personalizing a tattoo design s a great way of expressing your individuality and creativity. 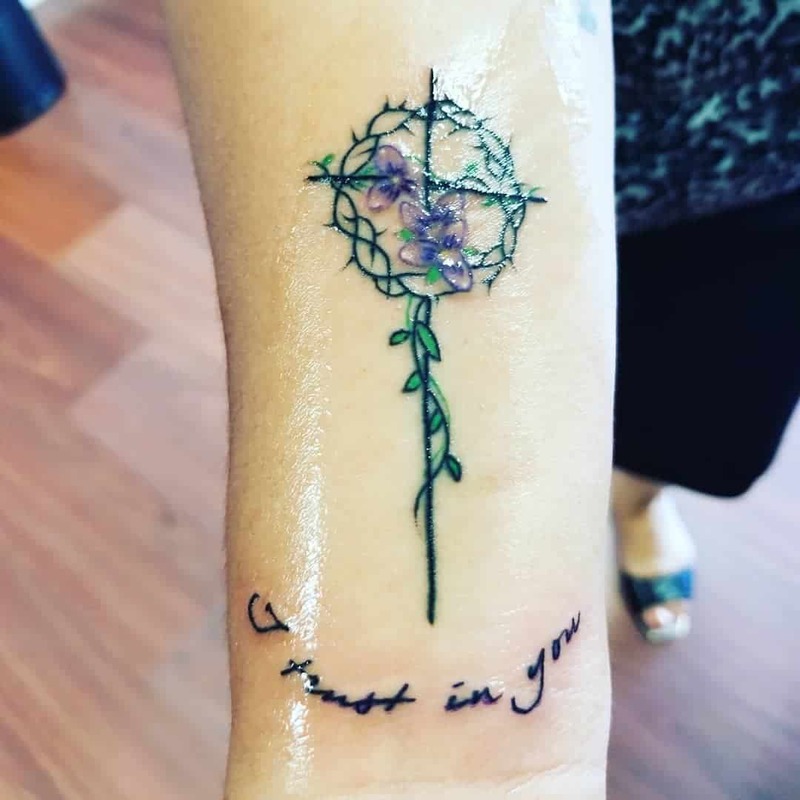 As much as the artistic design is done by the tattoo artist, you can still express your uniqueness by incorporating elements that appeal to you. 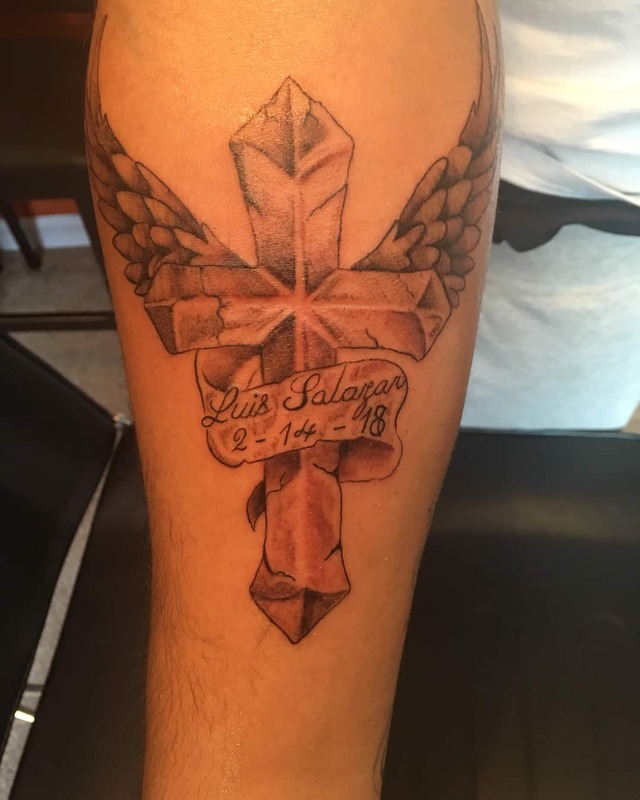 Cross tattoos provide a great way of remembering loved ones. 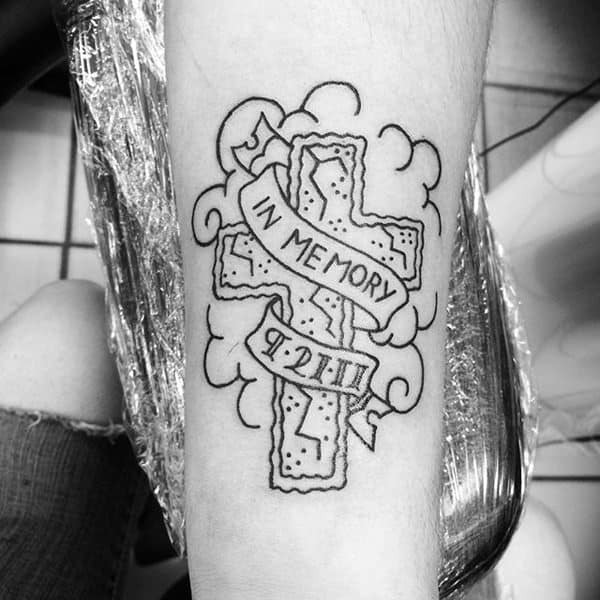 Apart from the actual cross tattoo, you can also incorporate other features that bring into memory a loved one that might have died. Use words that you find inspiration from to reinforce the meaning that you associate with the design. 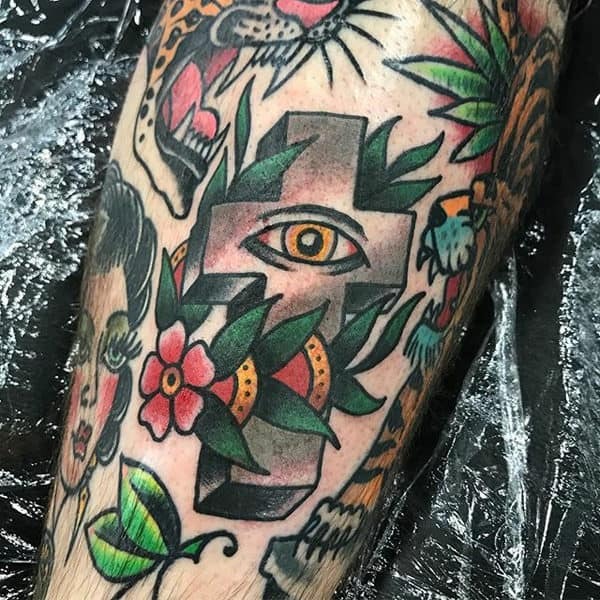 Whether you are into very simple one colored cross tattoos of multicolored layers of the design, you will still find inspiration from some of the cute designs below. The wings add some contrast and beauty to the design in such a fascinating way. 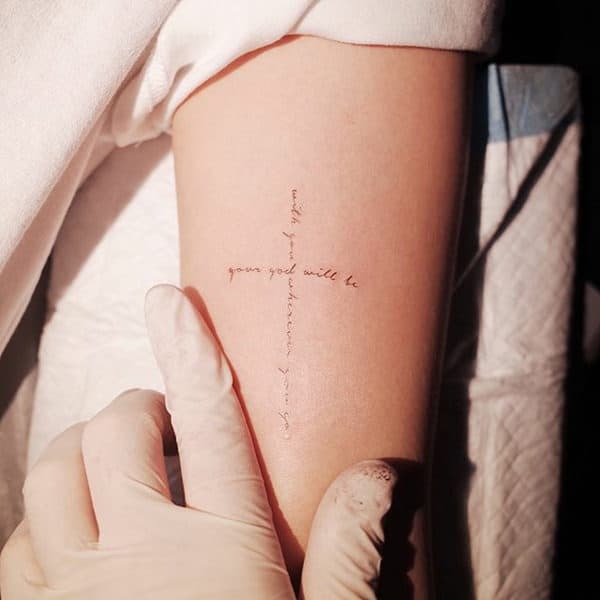 You can also find inspiration from the cross tattoo by expressing words that carry a deeper meaning to you. 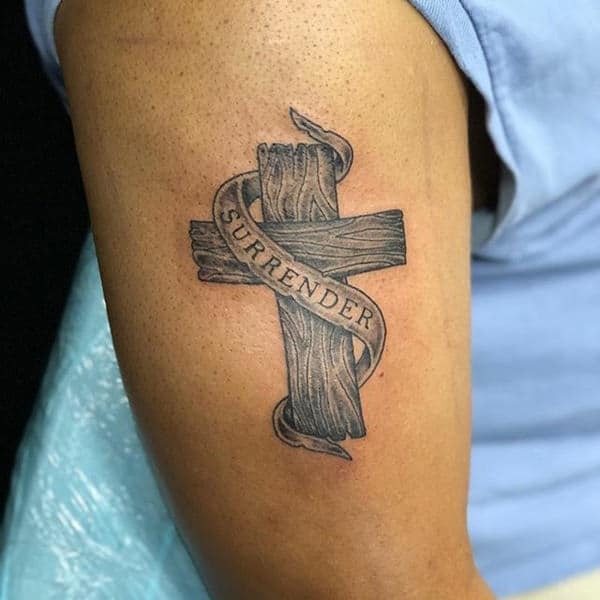 The bold words used in the cross tattoo below carry a deep meaning and expresses what the wearer associates the cross symbol with. Tattoos are not only sacred but also carry a deep symbolism. The symbol of the tiny cross with the image of Jesus hanging on it expresses such a rich spiritual meaning. Wearing the tattoo could be a sign of spirituality, prayer, expectation and an expression of devotion. 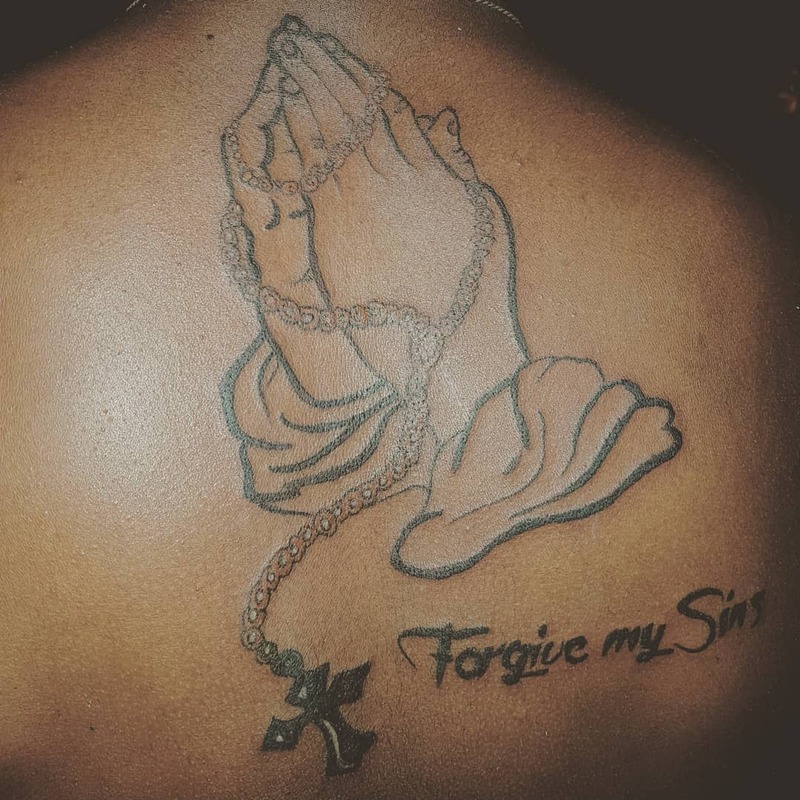 There is no better way of warding off those persistent condemning voices like having it inked on a cross tattoo. The tattoo is strategically placed at a place where it’s very visible when the person wears a short-sleeved shirt. The wooden cross is large enough and the writings are also very distinct. Tattoos can also act as a good replacement for bracelets. The design is not only eye-catching but also has very adorable symbols. The thin design of the cross and the colored layers blend so beautifully. 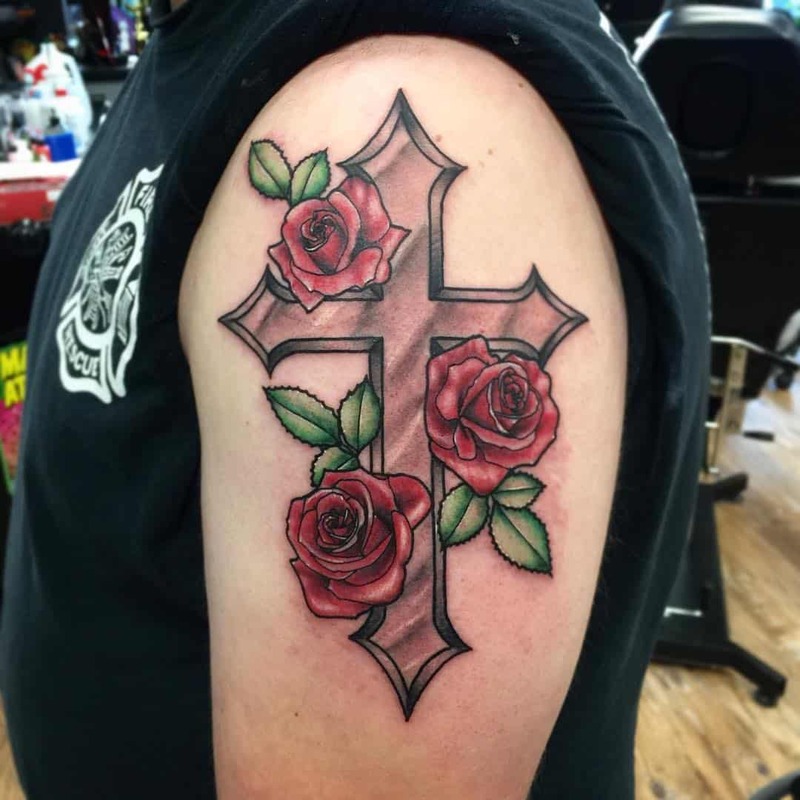 The combination of floral with the cross tattoo brings out the artistic aspect of the design. It takes great professionalism to bring out a cool design like the one below. 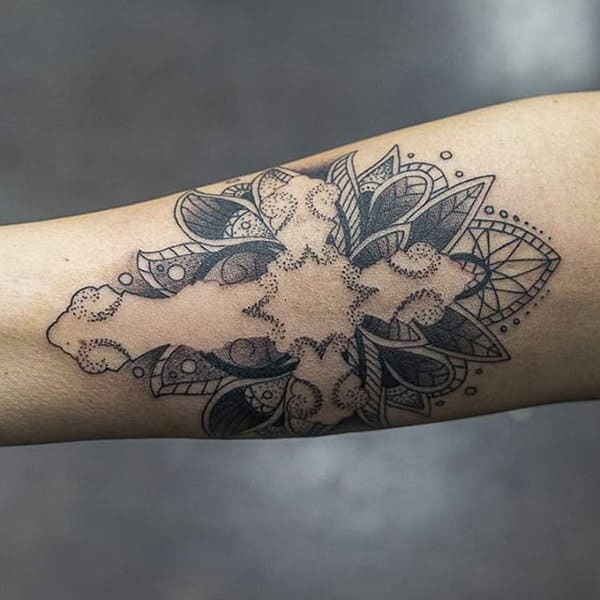 The cute dots and patterns used in the design make the entire tattoo to look so adorable. 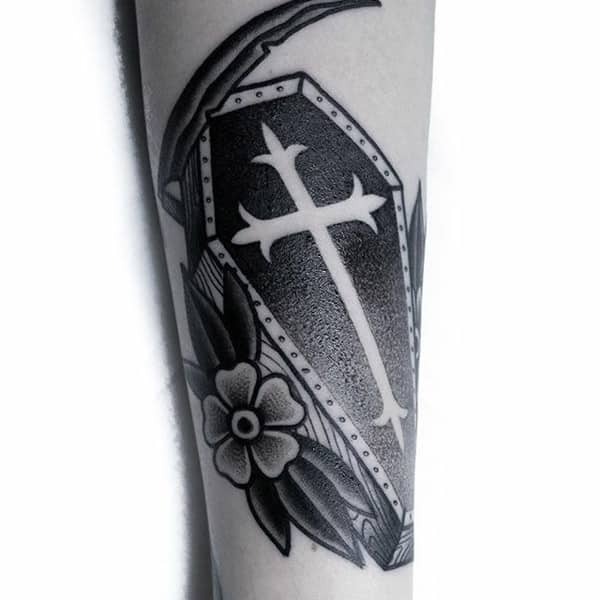 A reflection of beauty and magnificence is the best description for the cross tattoo design below. The bold color of the flower looks amazing and makes the entire design to really pop. The placement of the tattoo also enhances its overall appeal in such an adorable way. 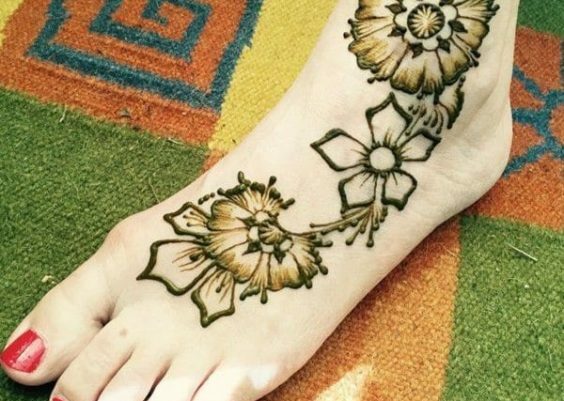 If you find tiny cross tattoos to be inspiring then consider going for the ones below. The tattoo can easily pass for a scratch on the skin. It’s cool and reflects well on the wearer. There are a wide number of tiny symbols that you an consider inking. 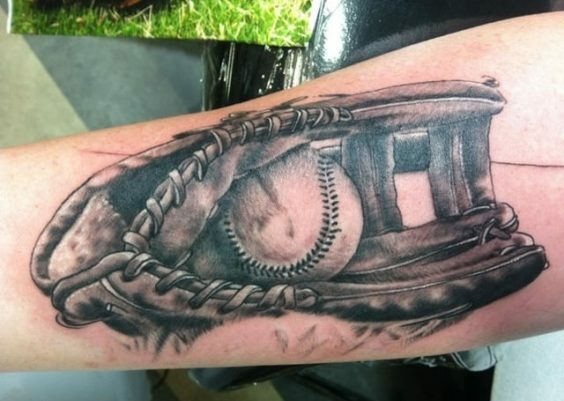 You just need to ensure that your tattoo artist has a good grasp of what you want and the expertise of bringing it out. Simple, flowery and beautiful are the best words that describe the design below. The tattoo looks classy and reflects beautifully on the wearer’s skin. The flowery leaves create such a cool blend. The leaves element also makes such a good contrast in the design. The level of simplicity and artistry showed in the design below is just epic. The writings are great and reflect one’s religious belief. The tattoo also reflects beautifully on the arm where it’s worn. You can personalize your design in a way that drives deeply the meaning you’re associating it with. Nothing captures the symbol of Christ hanging on the cross in a simple way like the design below. It’s magnificent in all ways with the flowing shades of black creating such a dynamic appeal. 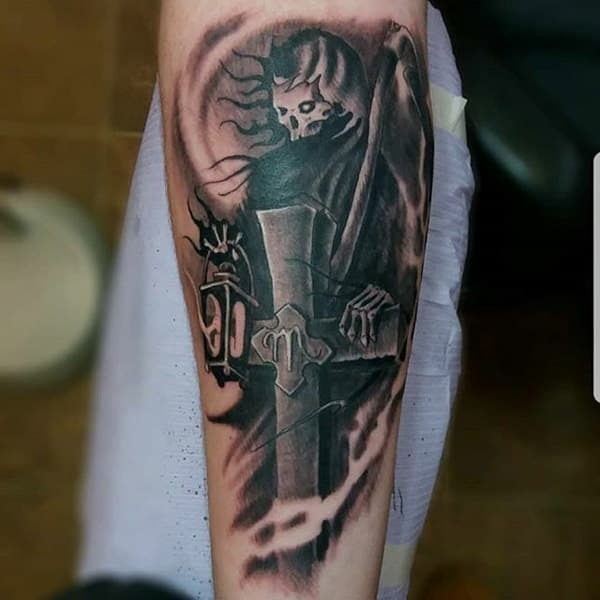 Adding some creepy image into cross tattoo design has a way of reflecting diverse sides of the spiritual dimension. It’s not only scary but also require some element of boldness on the wearer. The design below may not be for everyone, however, you can consider inking it if you are bold enough for the scary feeling it exudes. 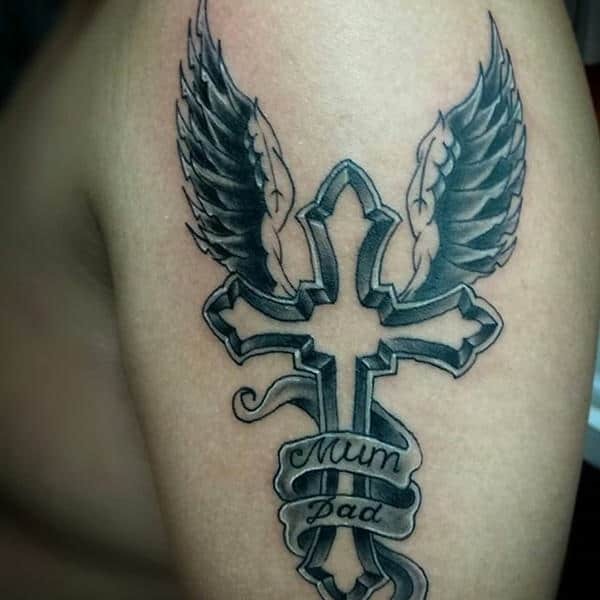 The beauty of cross tattoos lies in the fact that you can personalize the design and add features that appeal to you. The elements used in the design below creates such a beautiful contrast and each of the elements also carry some dominant meaning. Such a magnificent piece of design with every element used enhancing the overall outlook. 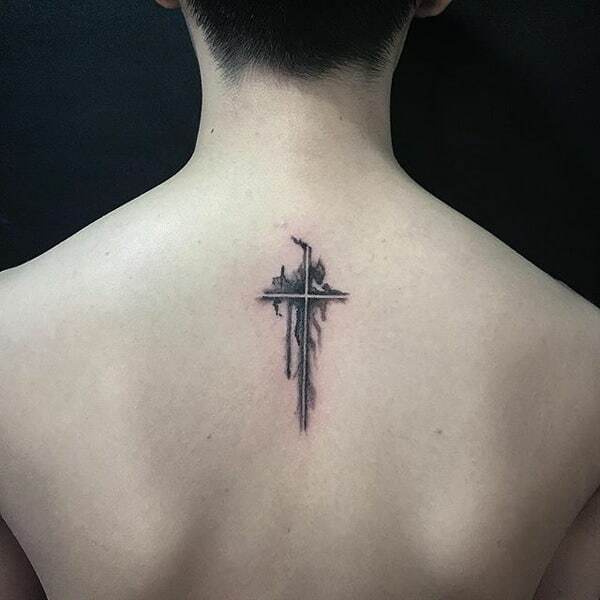 The tattoo looks cool on the back where it’s worn and reflects beautifully on the wearer. The elements used in the design such as the pink color is not only adorable but also makes the tattoo to stand out. Men have used cross tattoos as a way of expressing their religious alienation but also as a way of enhancing their masculine features. 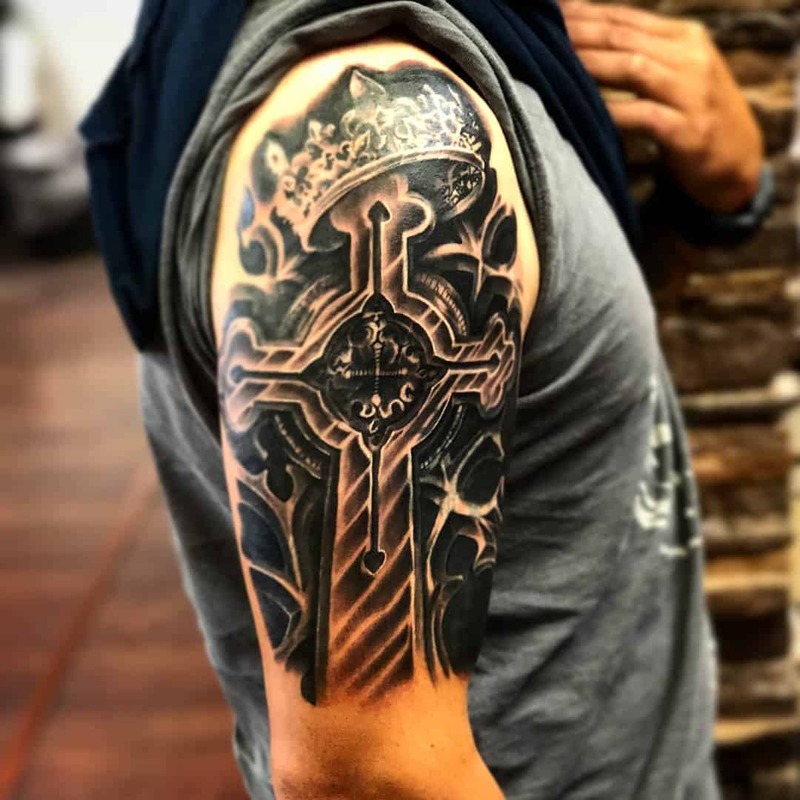 If you are looking for some inspiration for men cross tattoo then continue scrolling, The design below is not only epic, it adds some element of flavor and intricacy to the design. The element of the eye makes the entire design to be quite adorable. Add some element of contrast and complexity to the design by incorporating cool features. All the features used in the design below are not only outstanding but also adds to the beauty of the design. You should, however, consider the aspect of pain, tattoo aftercare and the cost that come with wearing the tattoo. 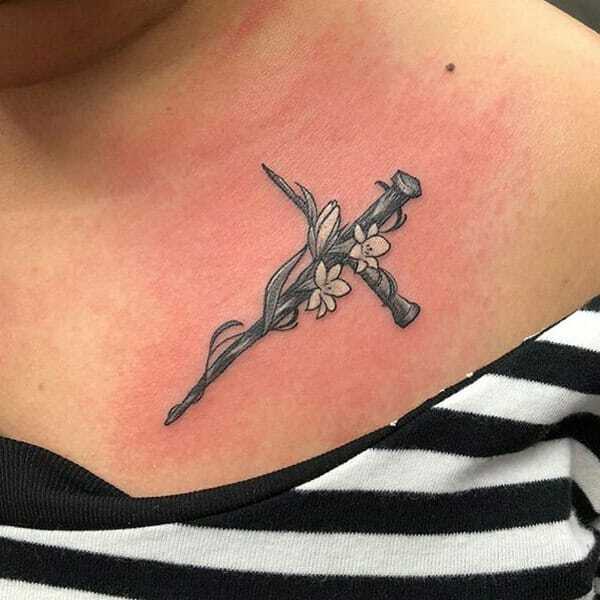 There are popular choices of cross tattoos that one can consider wearing. One can get inspiration from the Egyptian crosses, the Celtic cross, Christian cross amongst others. A level of expertise is required in ensuring that the artwork turns out to be great. 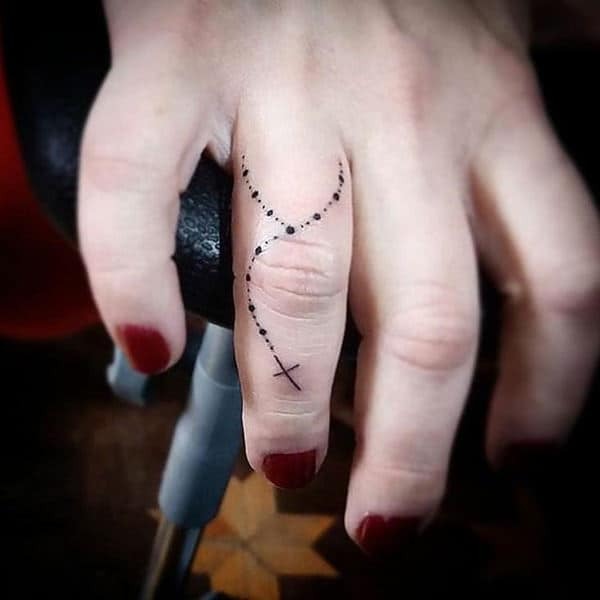 If you are a fun of tiny tattoos then you can consider wearing cross tattoo symbol on the finger. The small dots look adorable and reflects beautifully on the wearer. Flowers are a great symbol of beauty and elegance. Flowers also express nature and has a way of bringing life and elegance to the design. 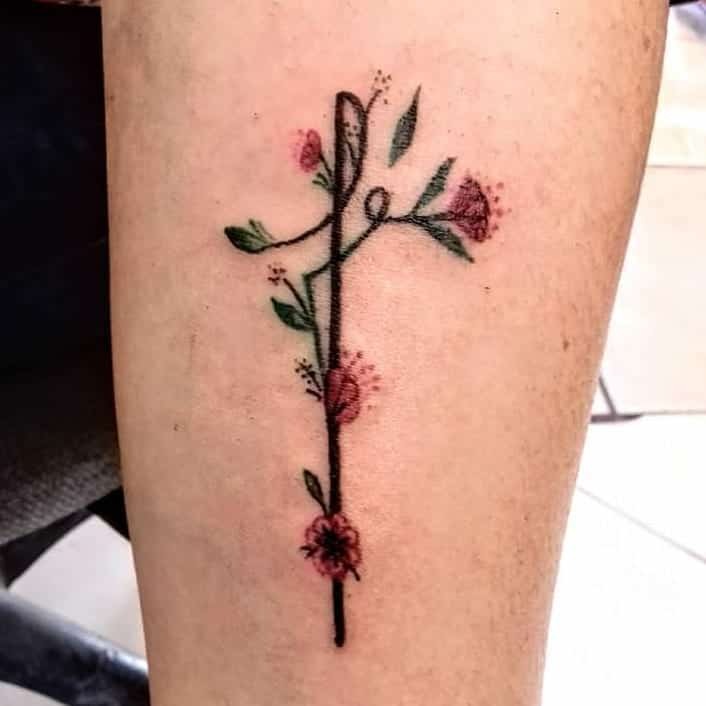 The flower in the design below is artistically designed and blends well with the cross. Before you incorporate flowers into your design, ensure that it also brings out the feeling that you intend to create. 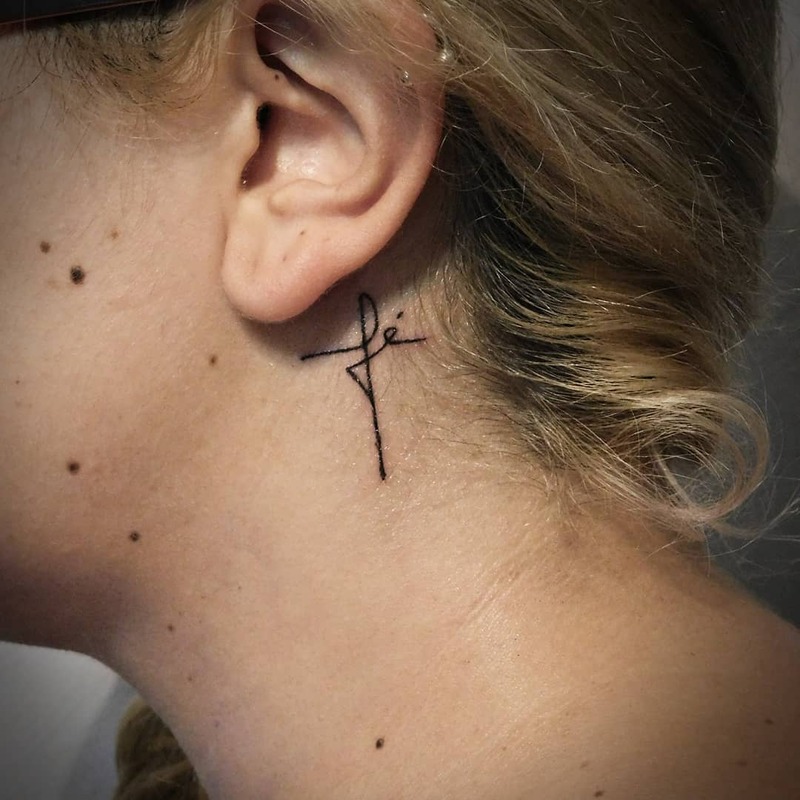 Small designs of cross tattoo have a way of reflecting beautifully on the skin. 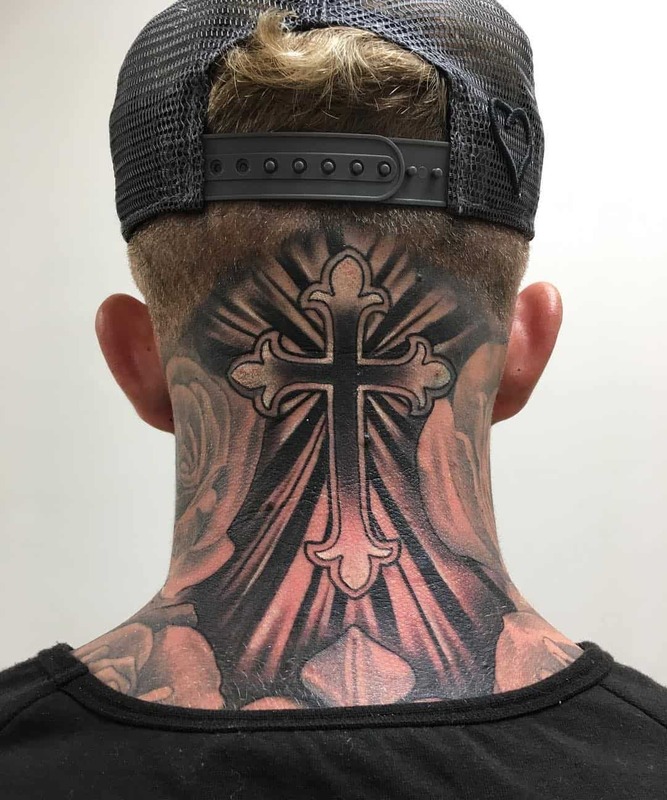 The neck is also an ideal place for wearing the tattoo as its also very eye-catching. If you want something that’s not only dynamic going by the looks but also simple, the consider going for such a design. 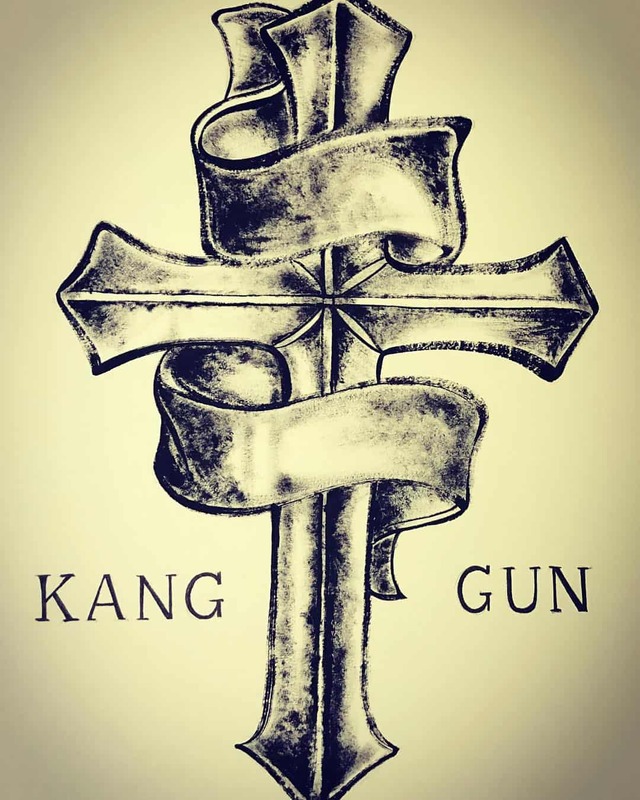 When inking the cross tattoo, one can also express the various elements that enhance the meaning of the tattoo. Things like beads and images have always been associated with deep spiritual significance. Regardless of the elements that you find to be inspiring, remember to also consider the aspect of simplicity. 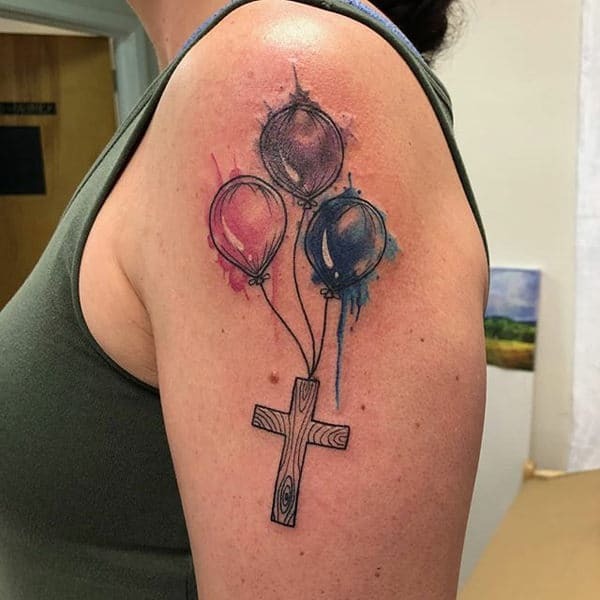 Use of one color is great for a simple cross tattoo design and has a way of bringing out the true emotion being expressed. Apart from the way color and elements are used, the overall design is just stunning. The inclusion of the compass design adds to the complexity of the design which is great. There are several elements that tattoo enthusiasts can use to enhance the overall outlook of a design. Just ensure that you incorporate something that adds value to the tattoo and also reflects well on your personality. Inking an eye-catching tattoo require some element of artistry and expertise. 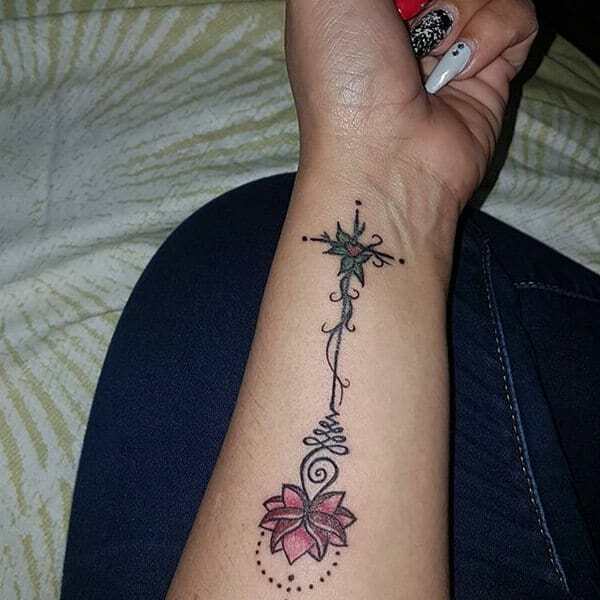 The design below is quite adorable by all standards and reflects beautifully on the upper arm. 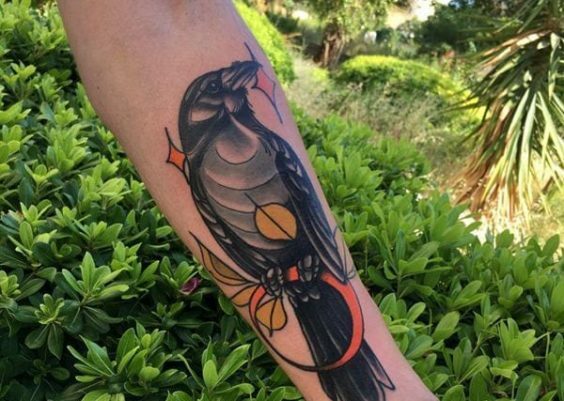 The black color is not only great but also has a way of making the tattoo to really stand out. 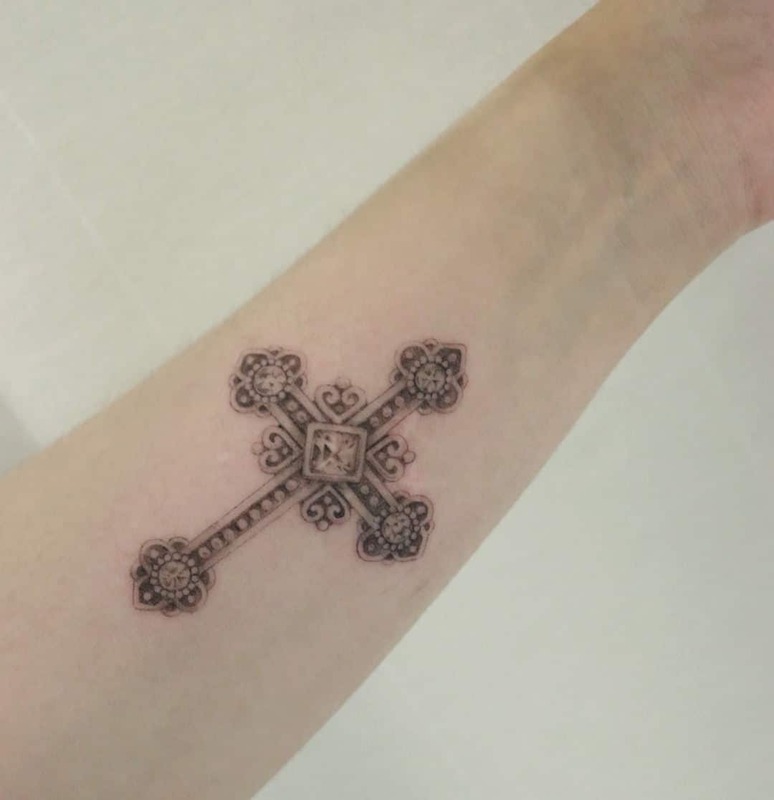 Cross tattoo can also be a symbol of mysticism and wisdom. The thick dark layer creates such a beautiful reflection with the sculptured symbol of the cross enhancing the outlook. Before you go for such a complex design, you should be aware of the permanent nature of tattoos. You should also consider the fact that just like inking, removal of the tattoos is also costly and painful. Such an amazing piece of art that’s visually captivating. 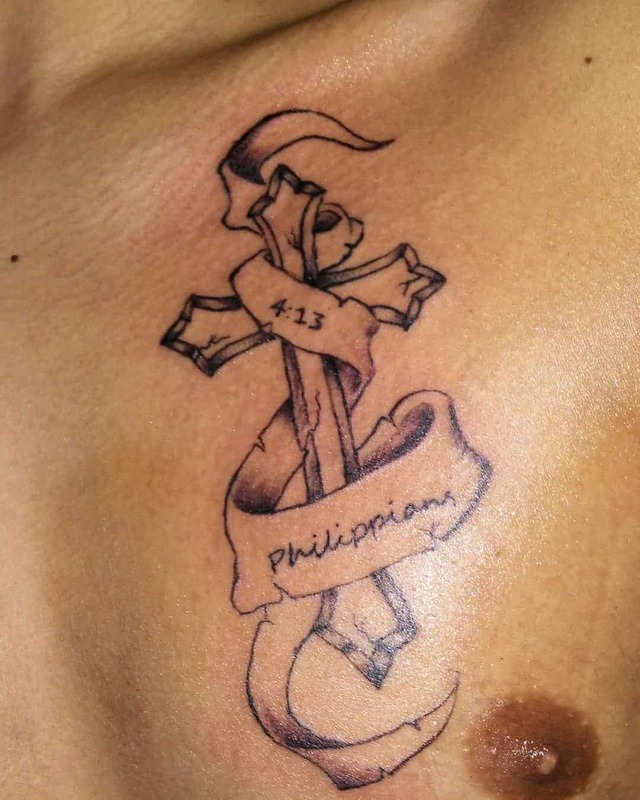 The wooden cross is clearly reflected with the words intertwined adding to the rich meaning of the tattoo. 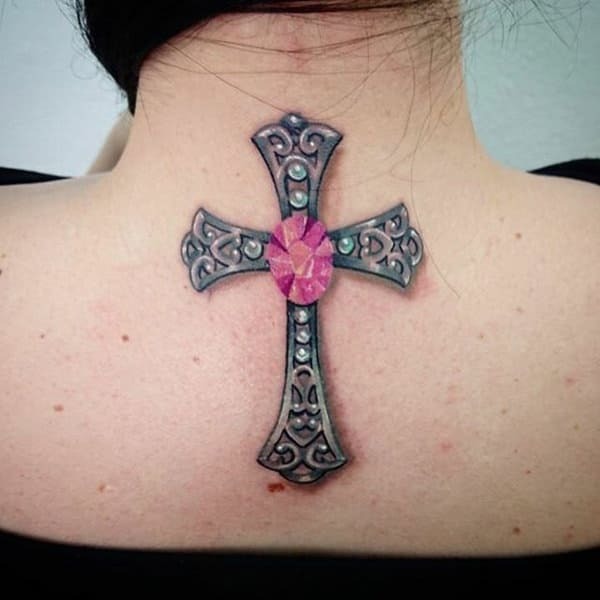 Inking 3d cross tattoos has a way of enhancing the overall outlook of the wearer. 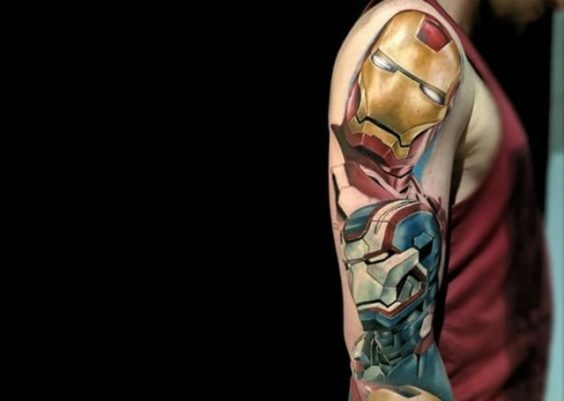 The tattoo is not only cool but its also beautifully placed on the arm where it’s worn.